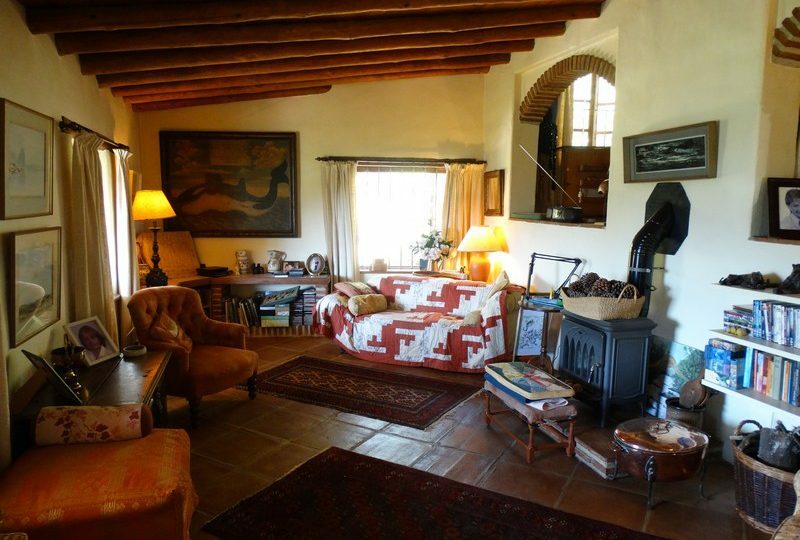 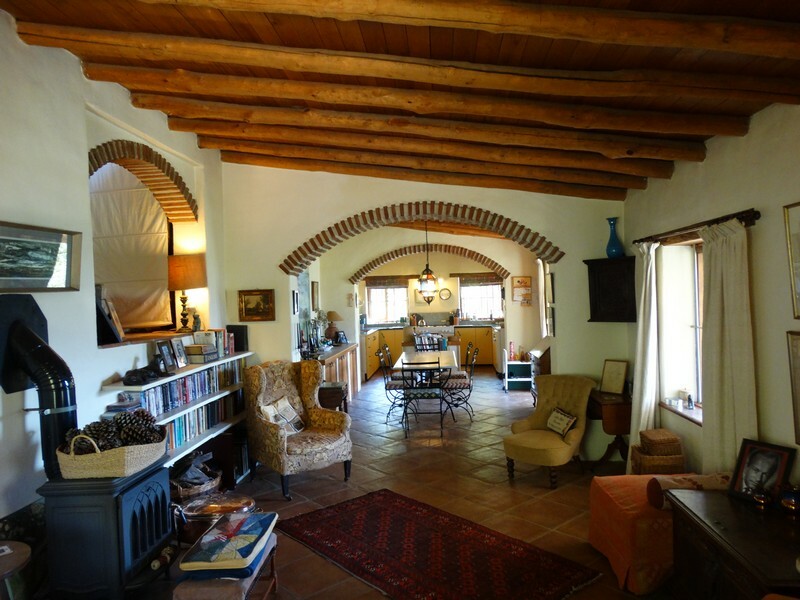 This stunning finca 1.5 km’s outside of Jubrique is a rare find. 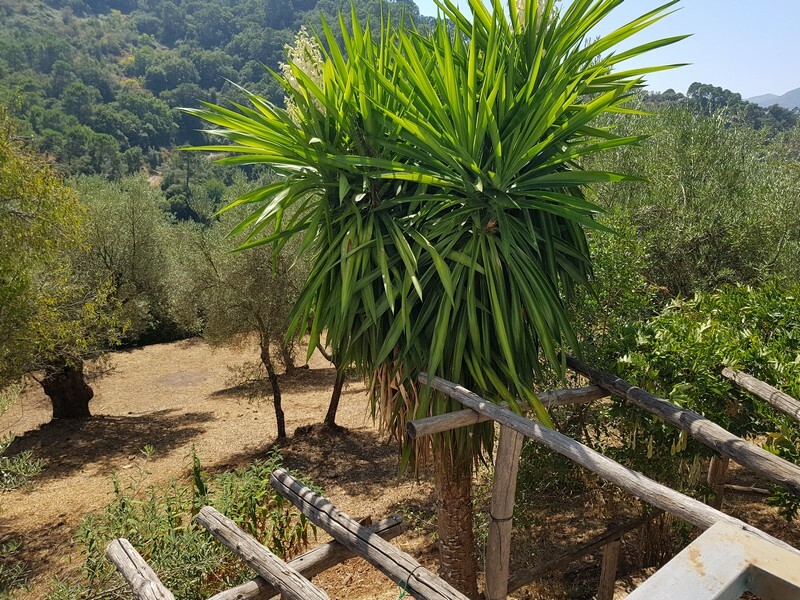 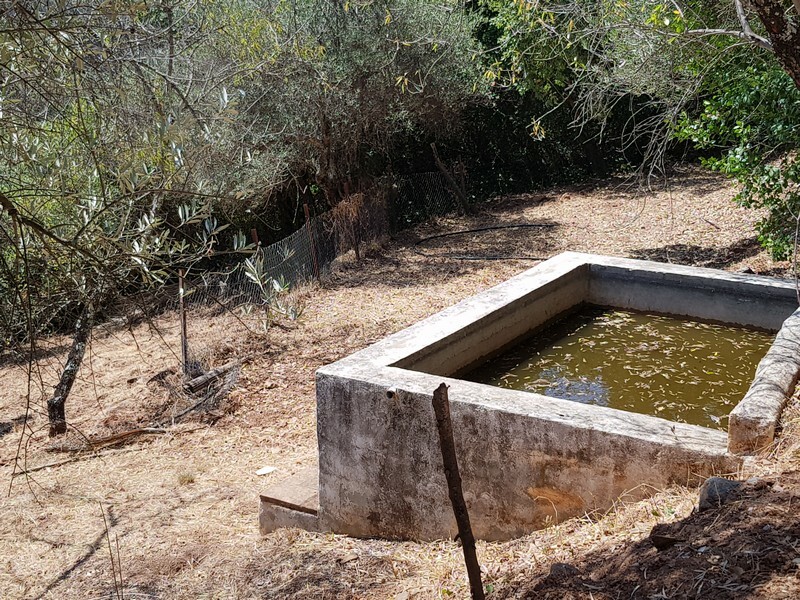 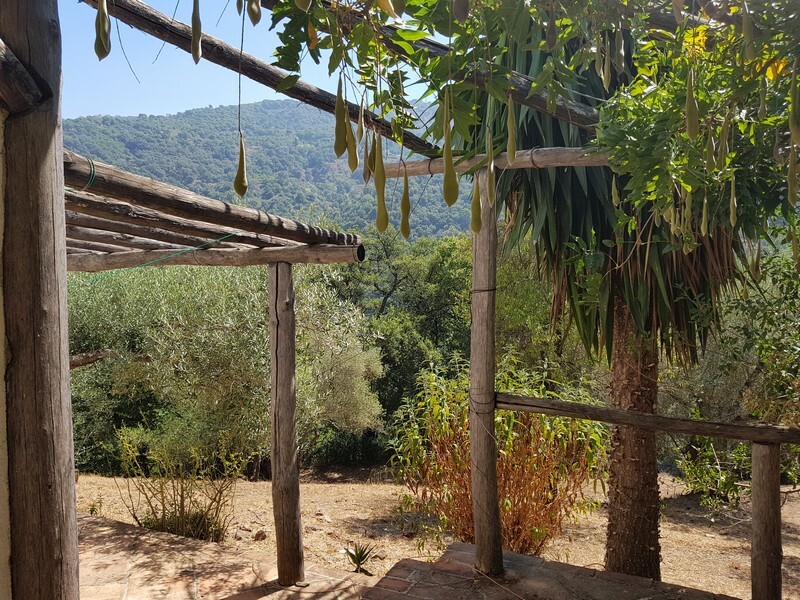 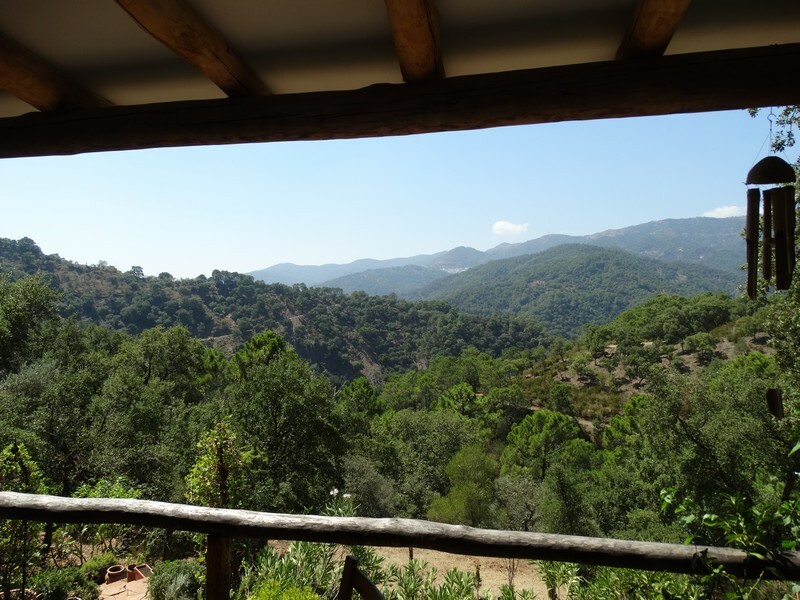 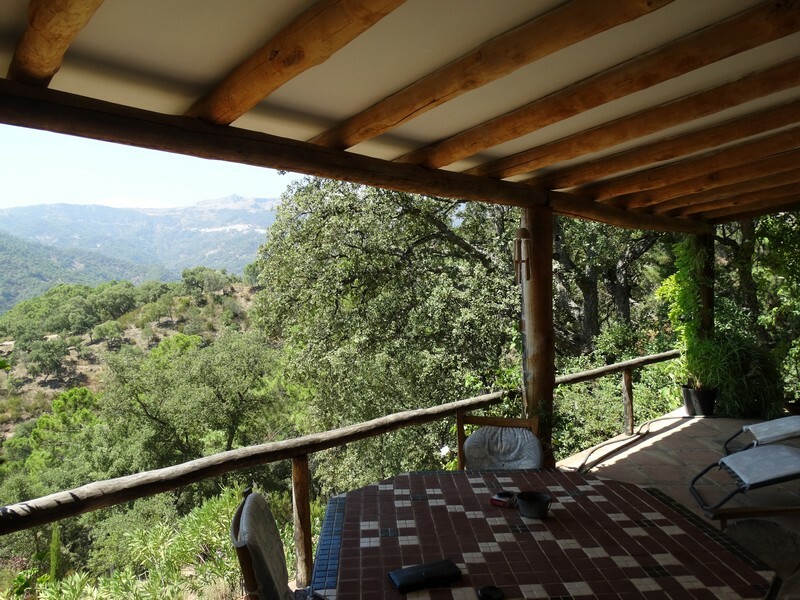 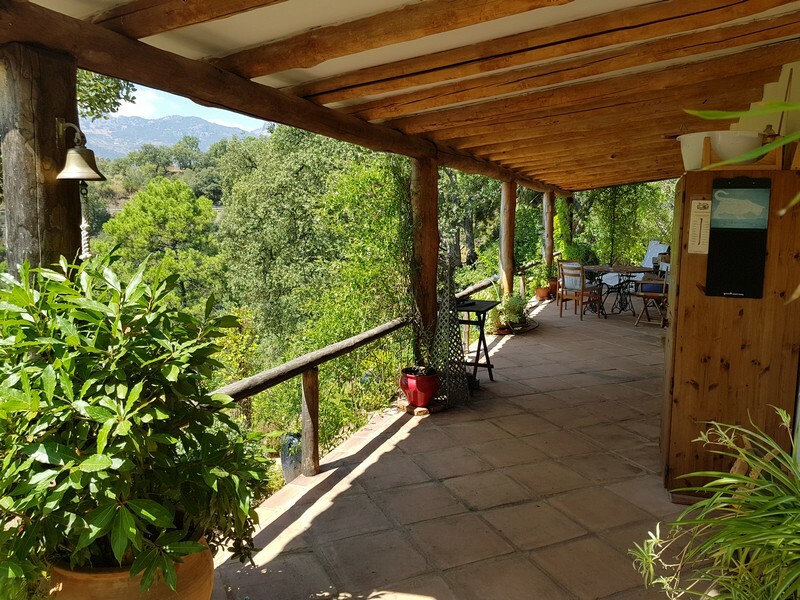 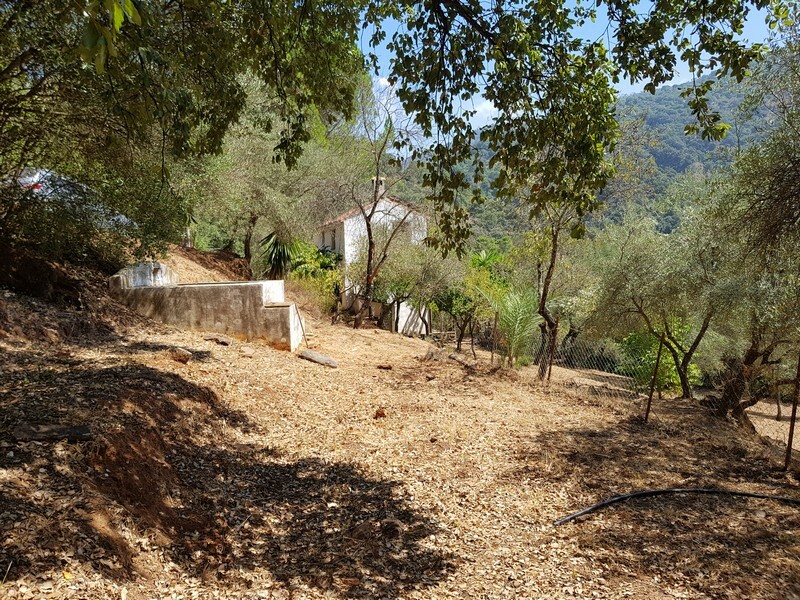 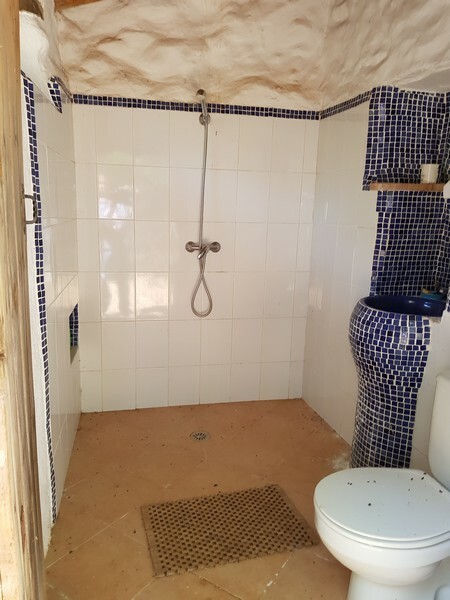 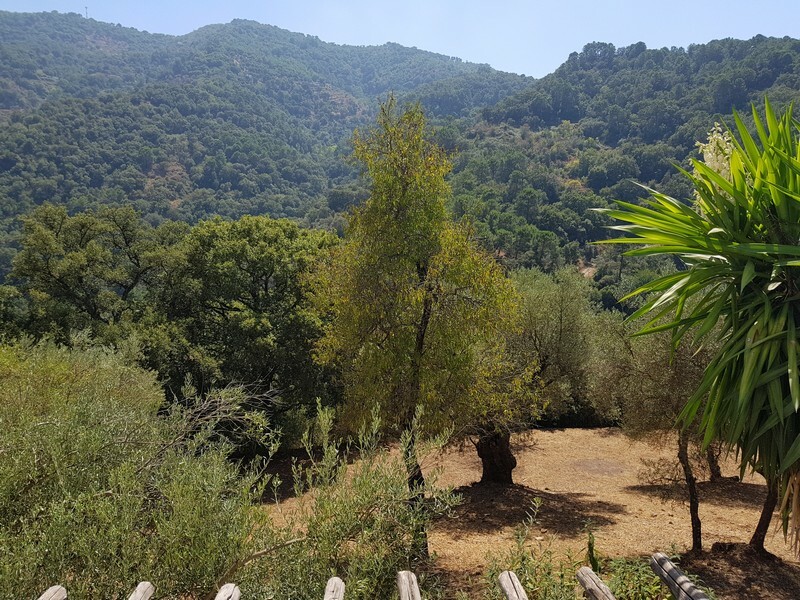 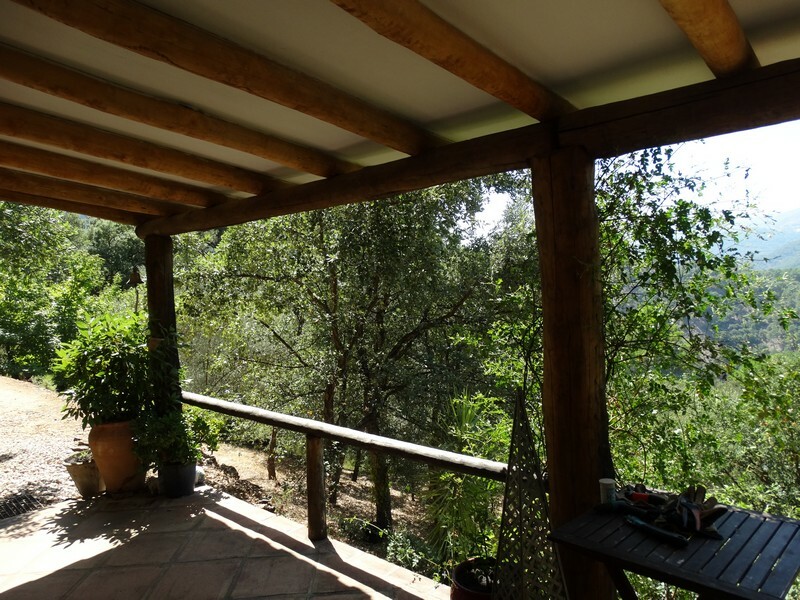 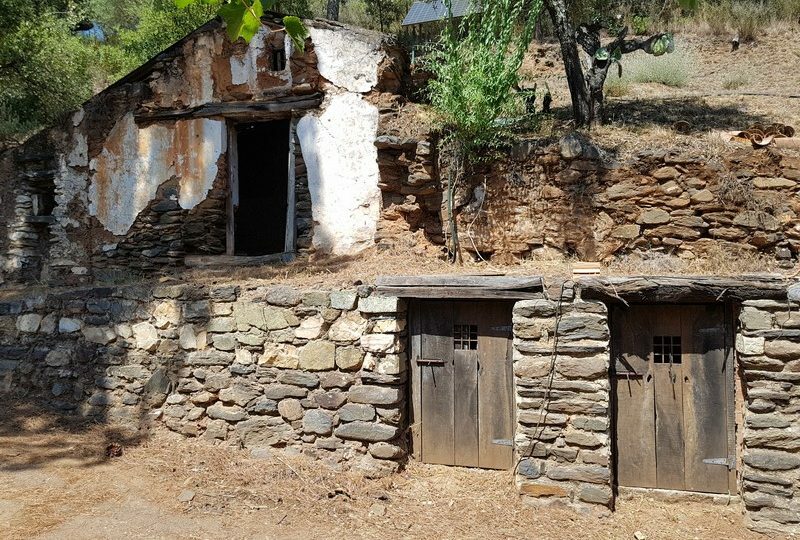 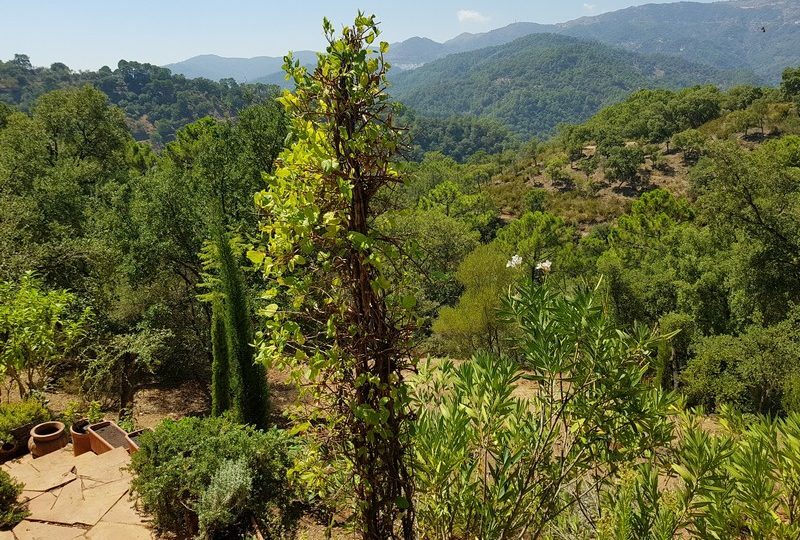 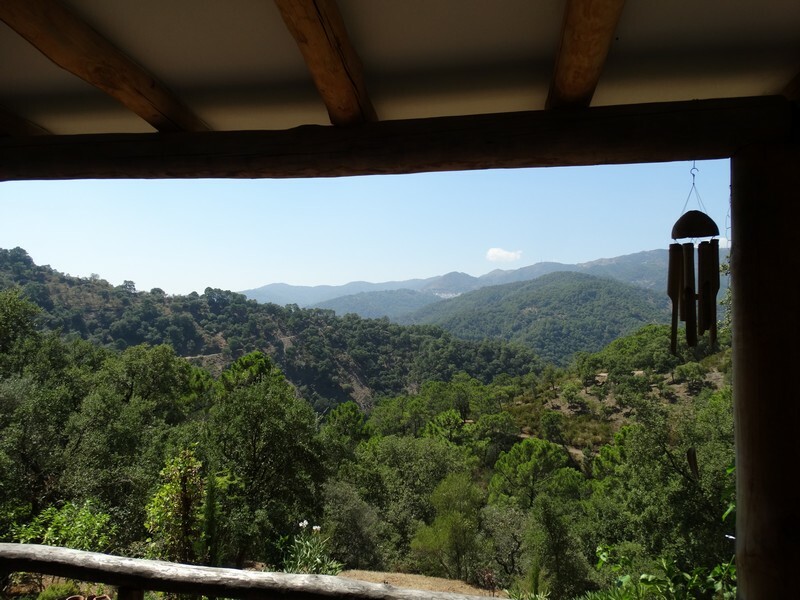 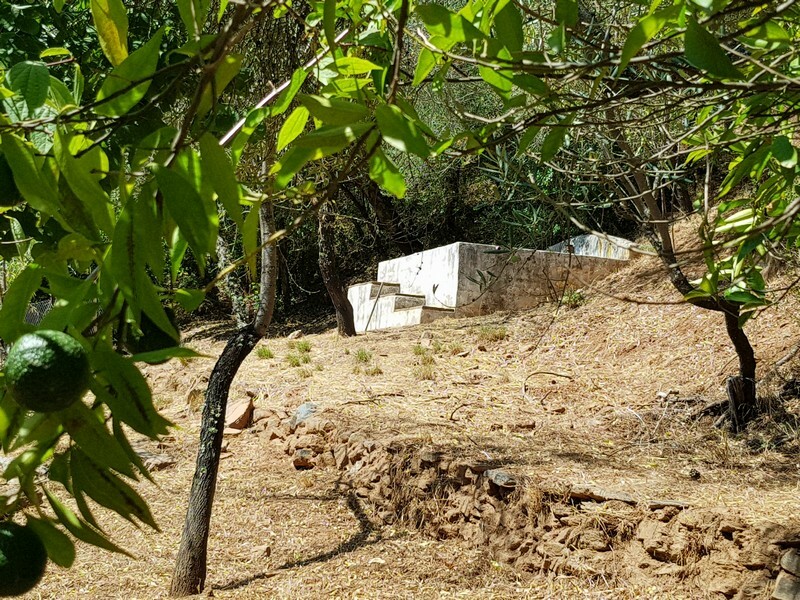 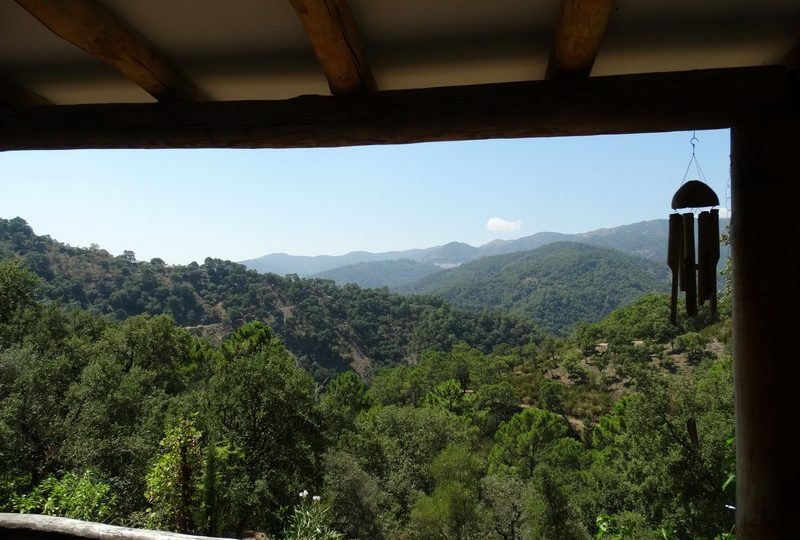 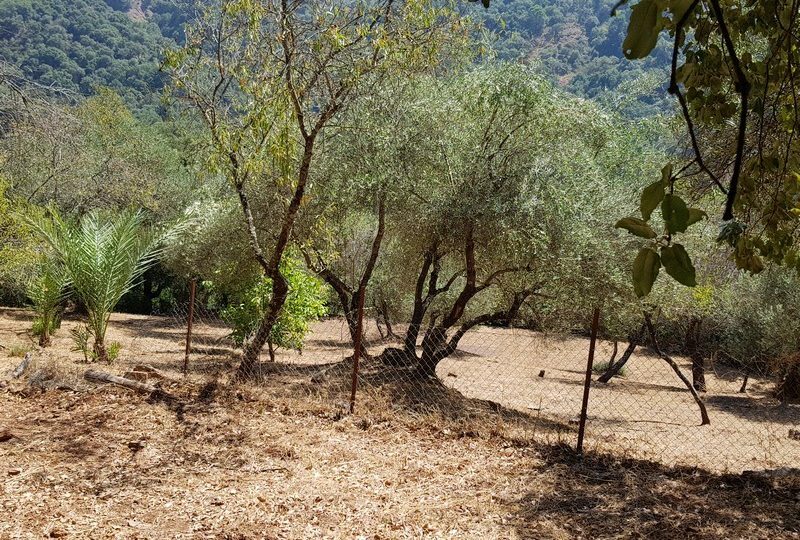 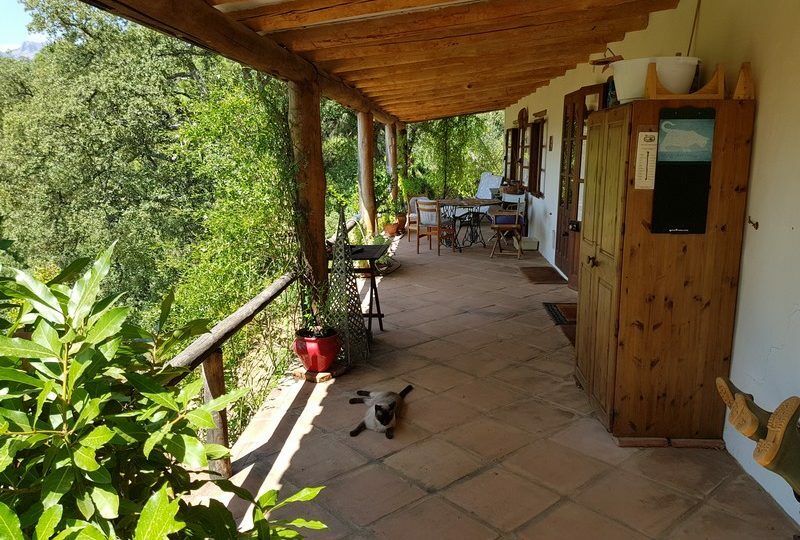 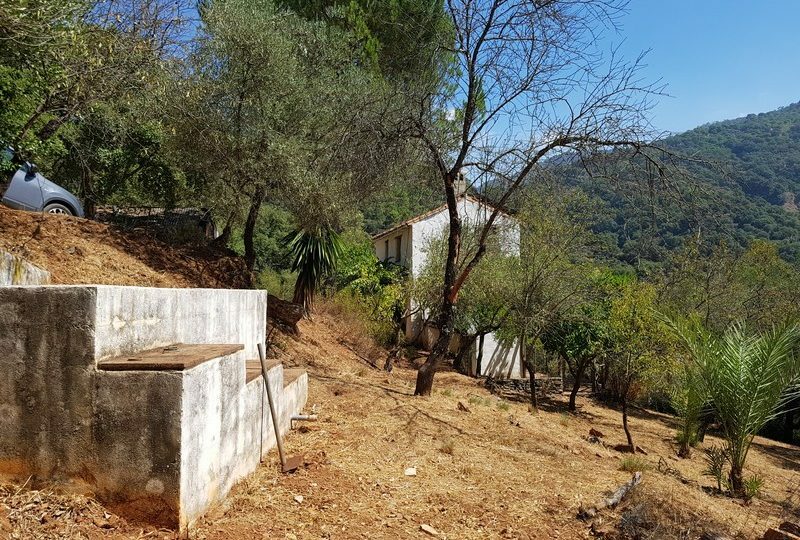 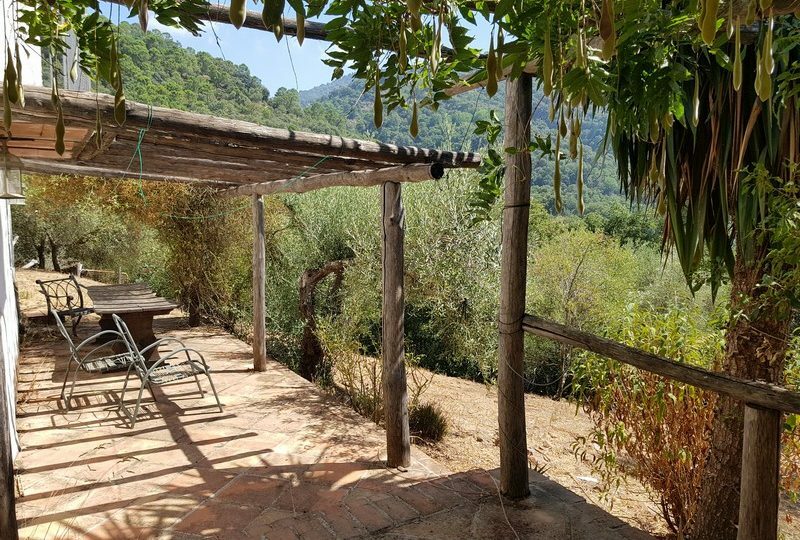 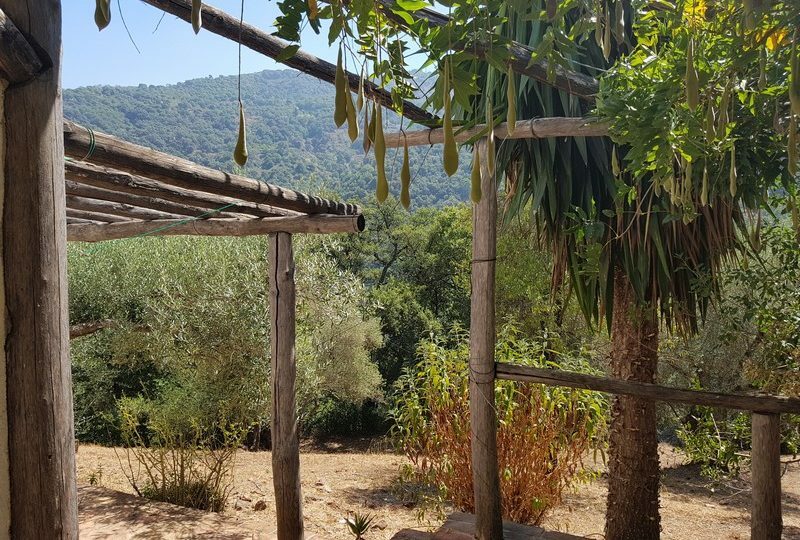 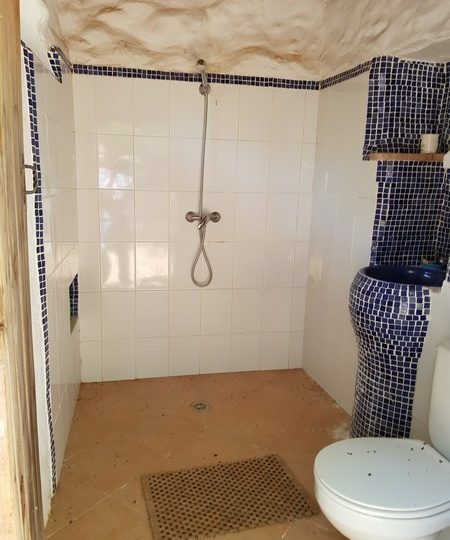 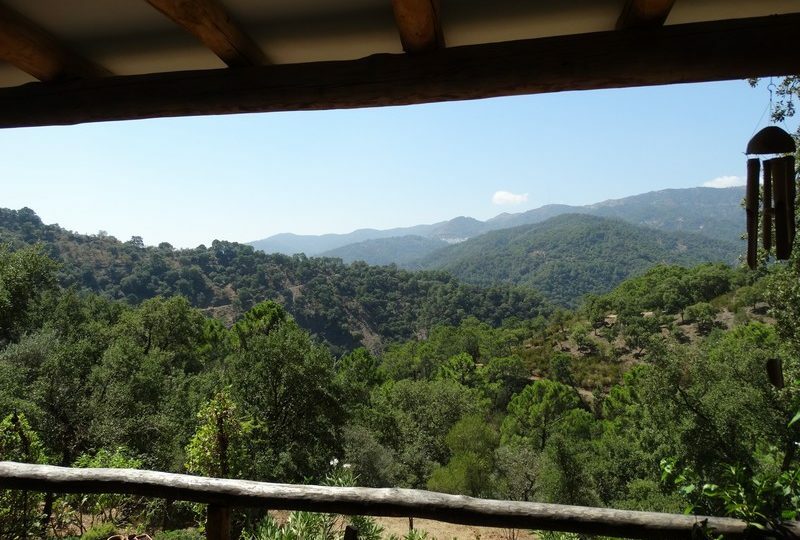 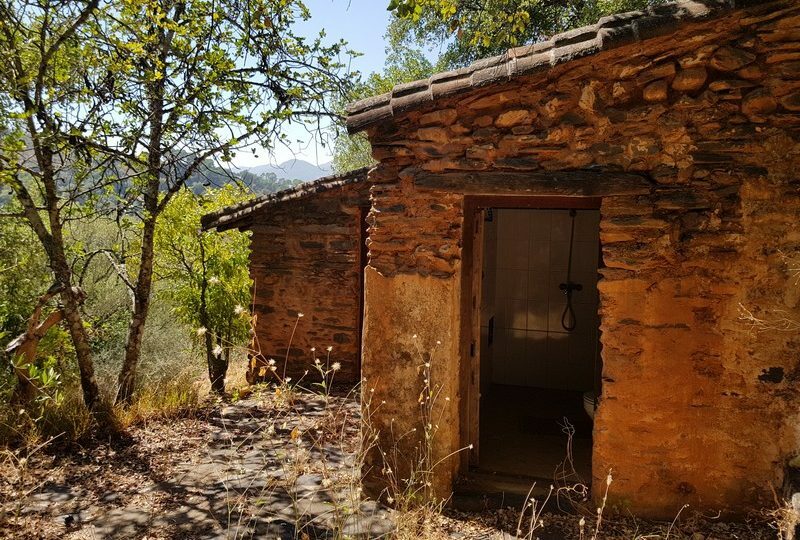 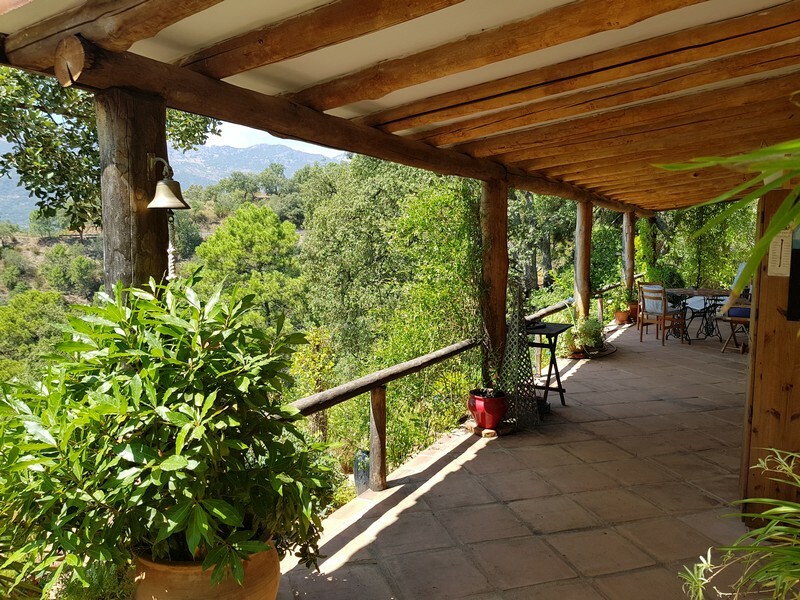 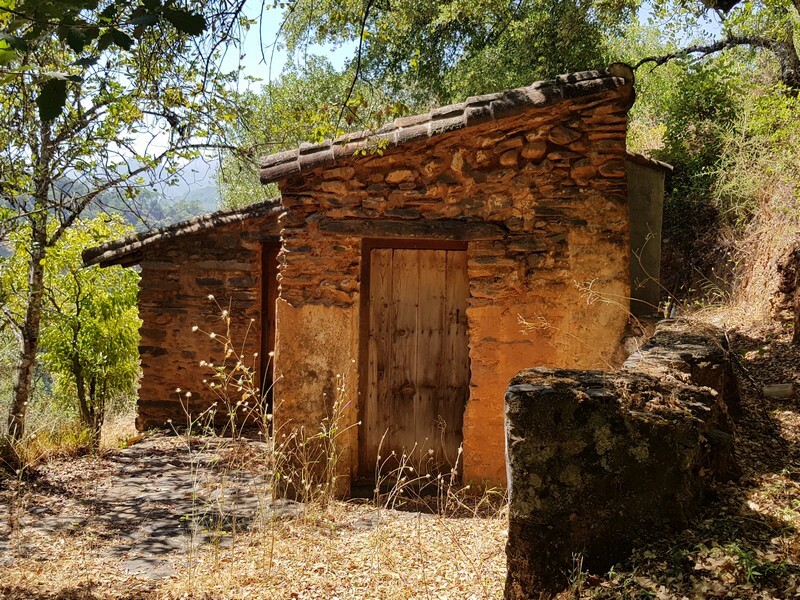 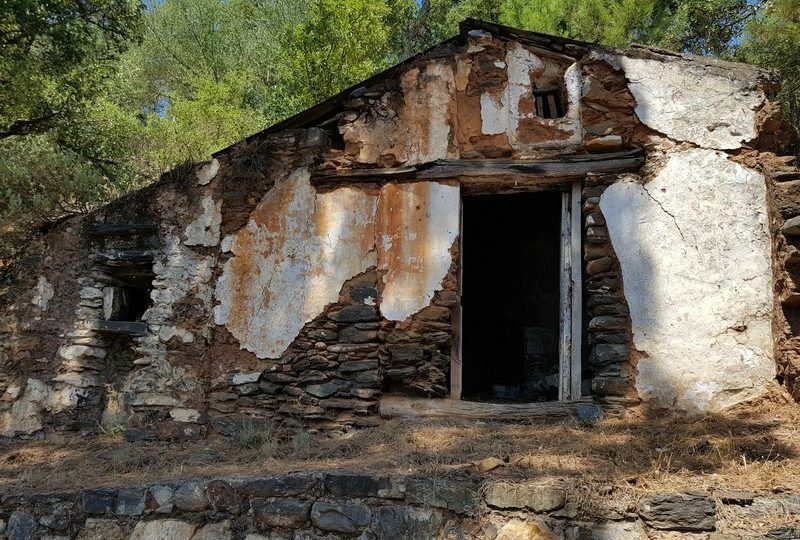 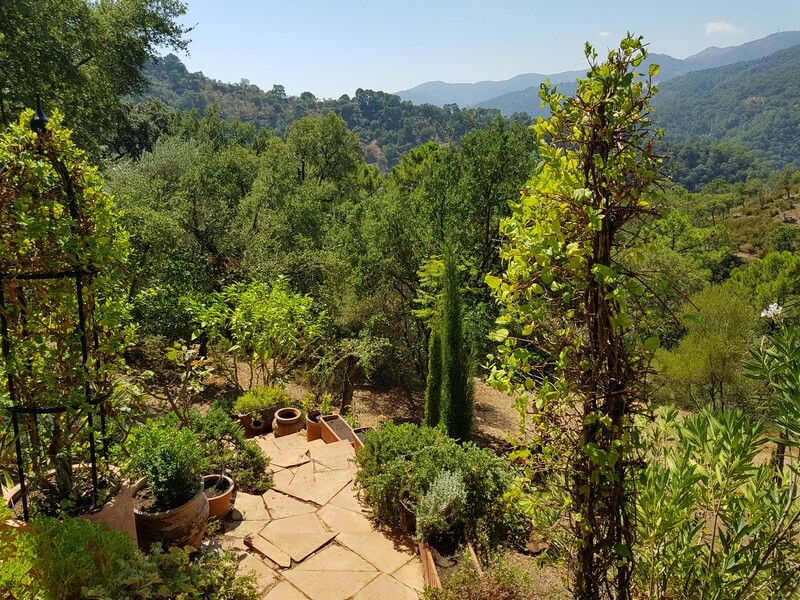 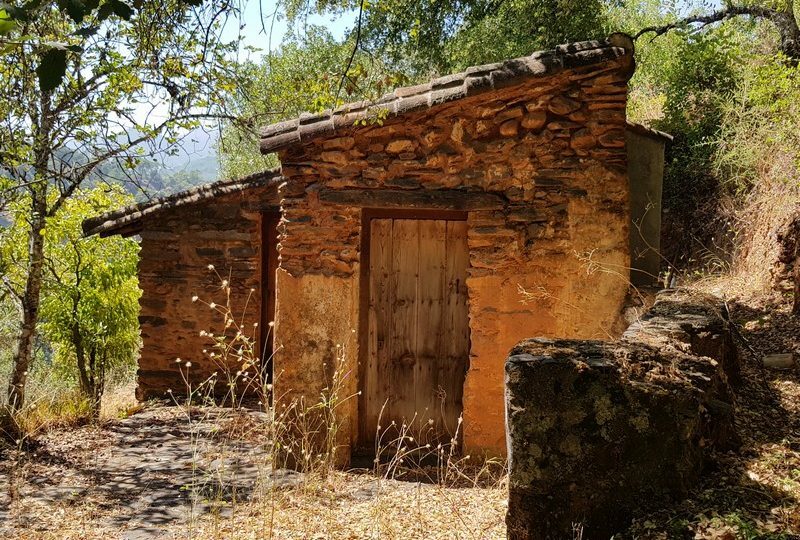 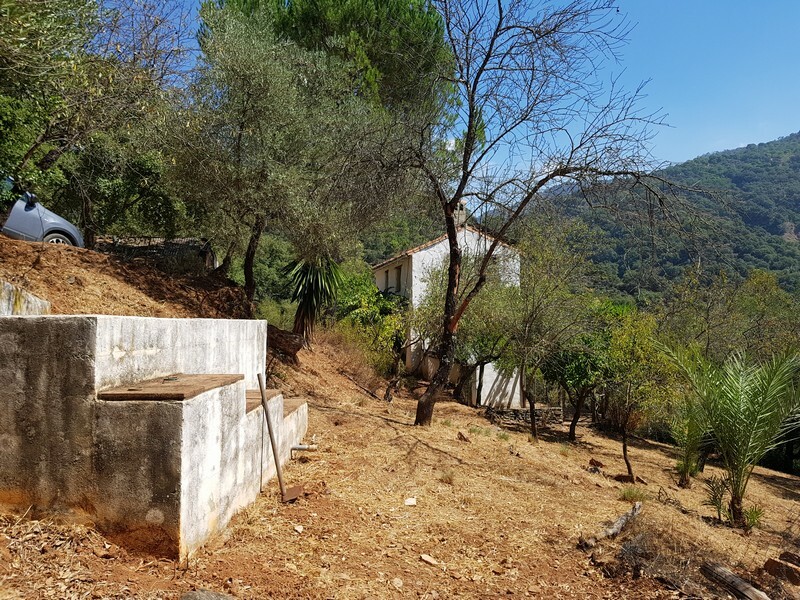 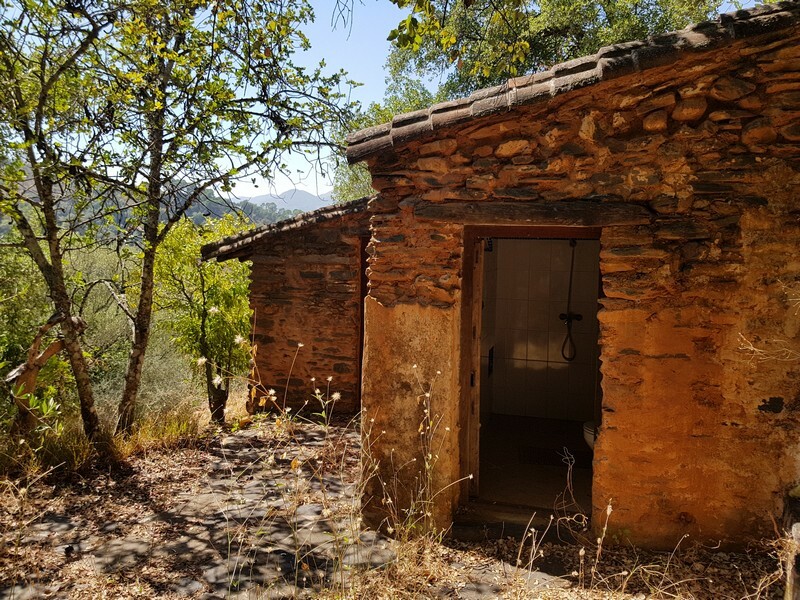 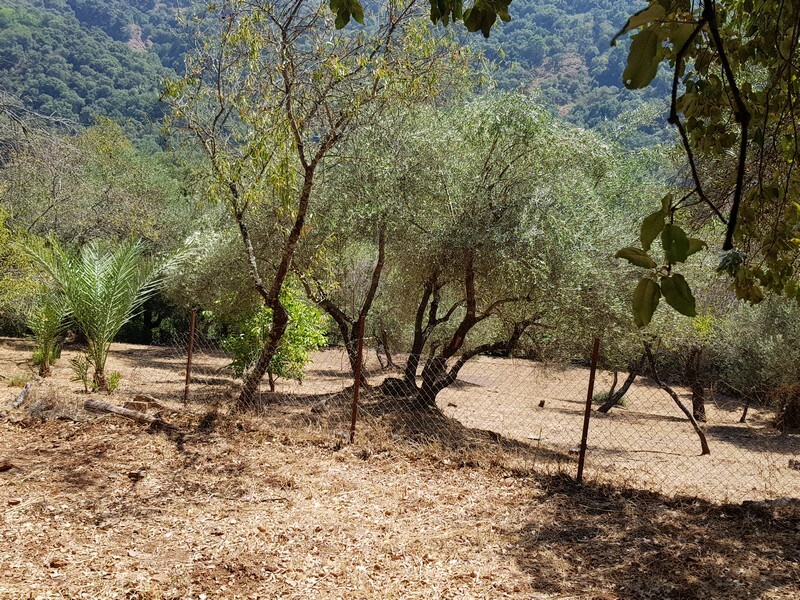 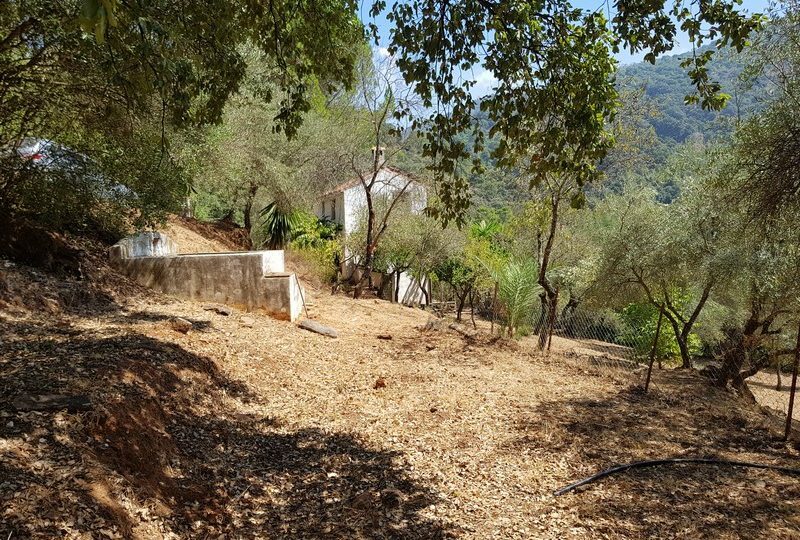 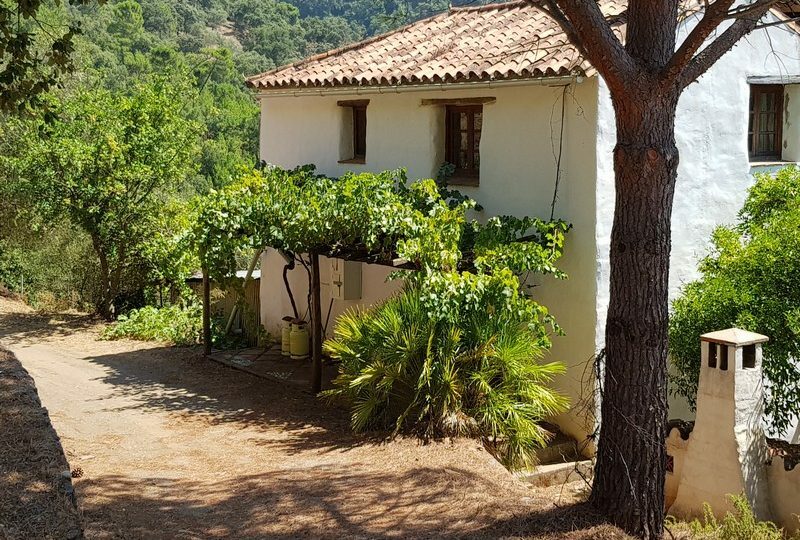 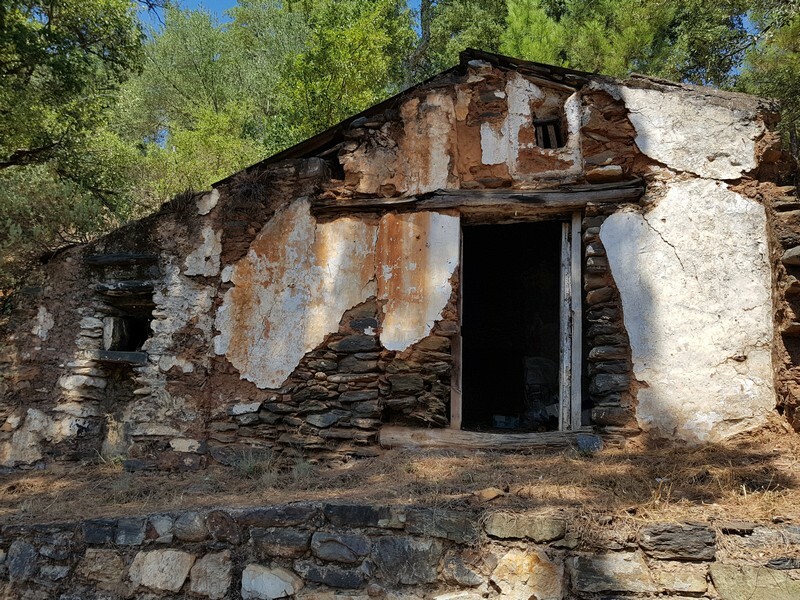 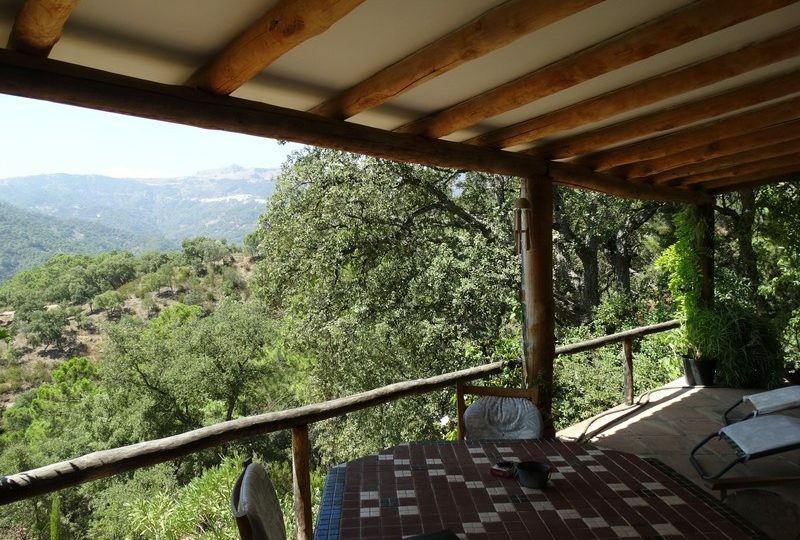 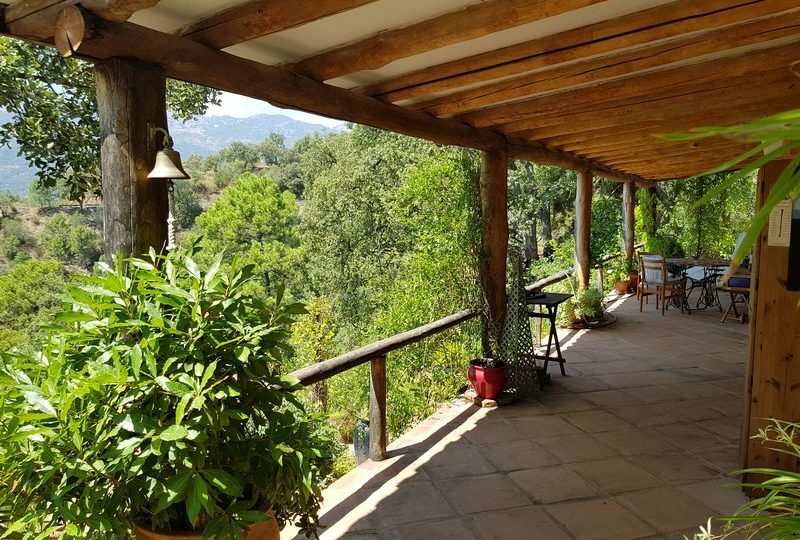 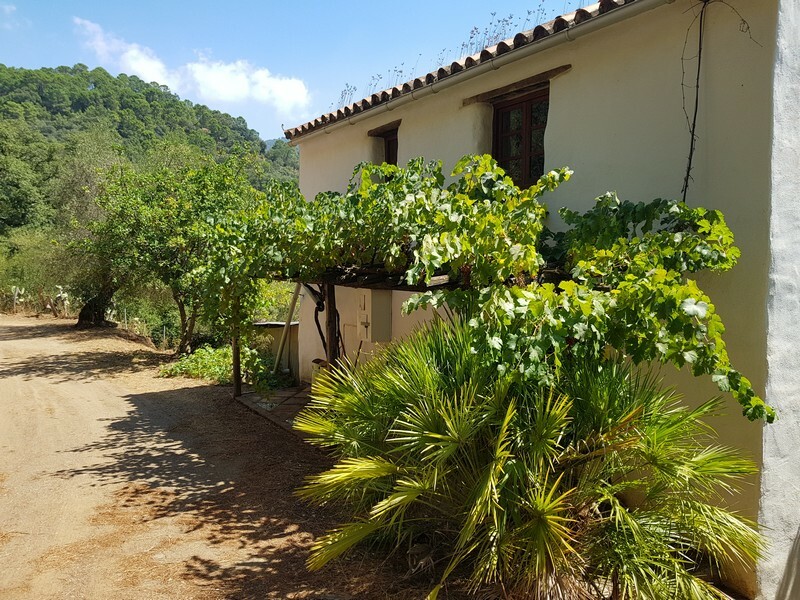 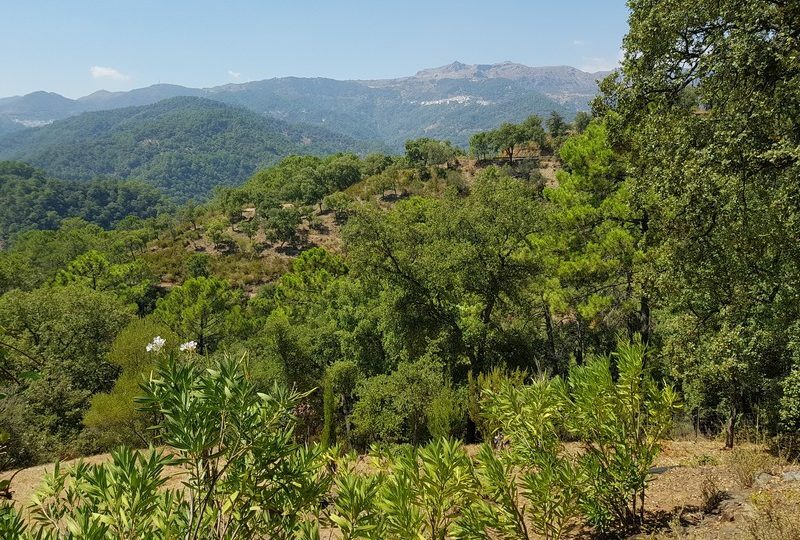 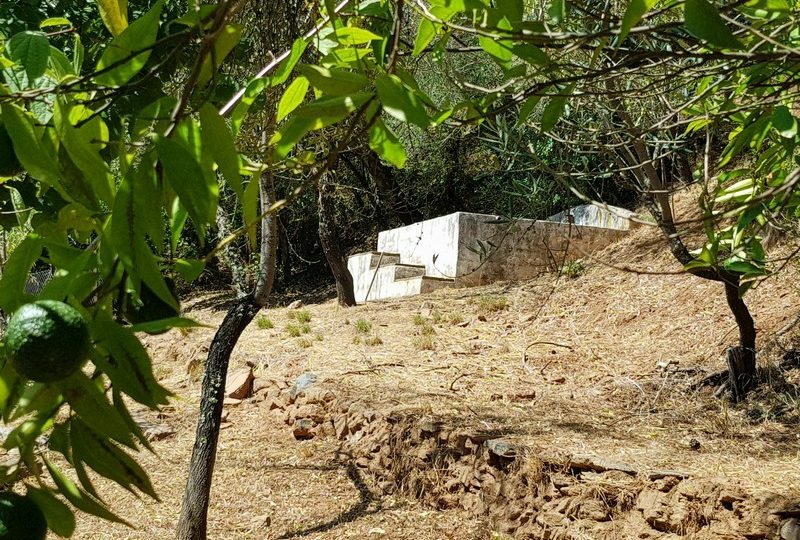 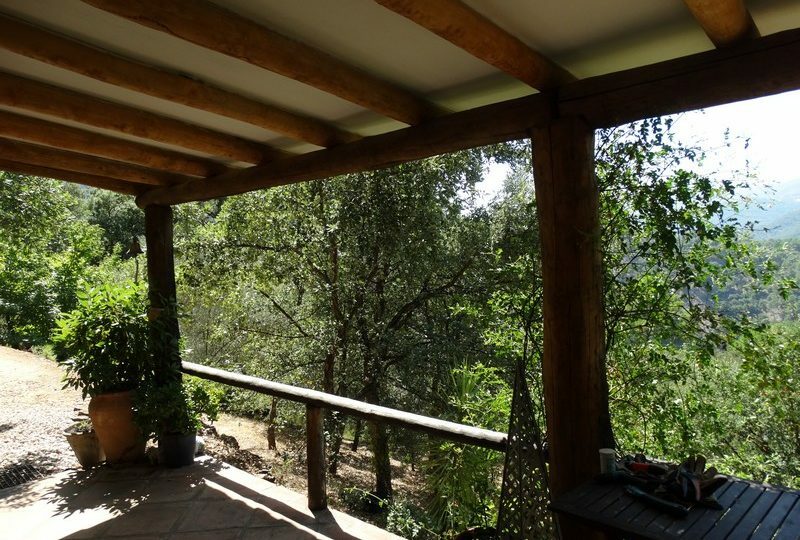 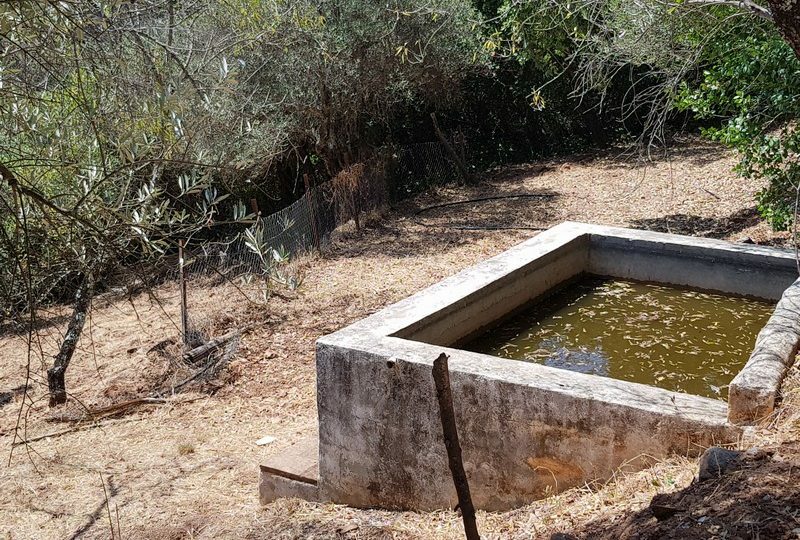 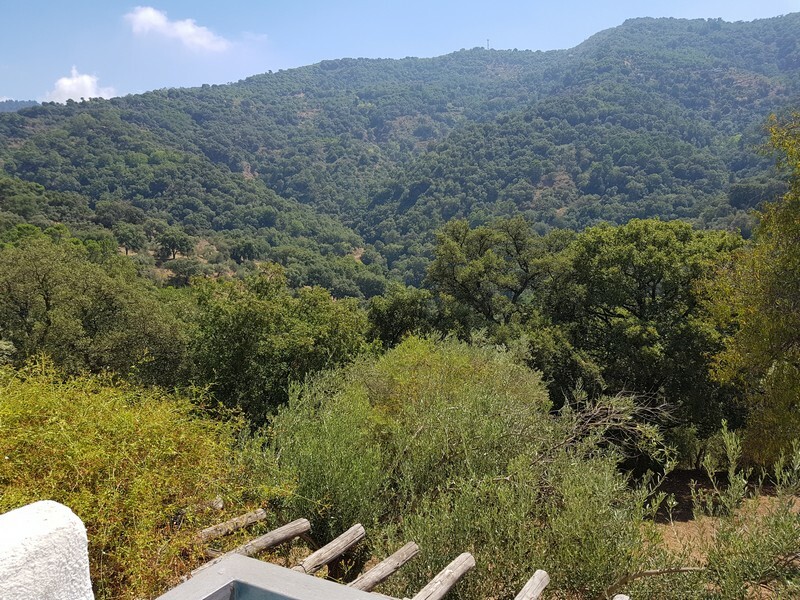 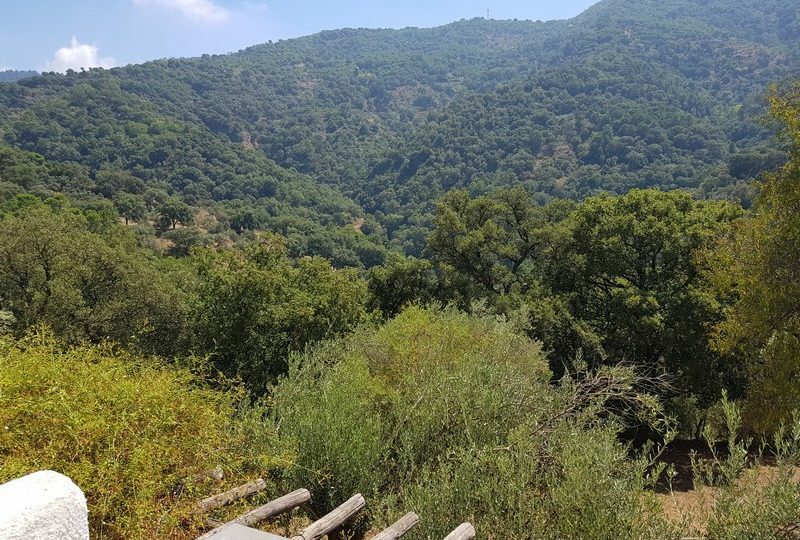 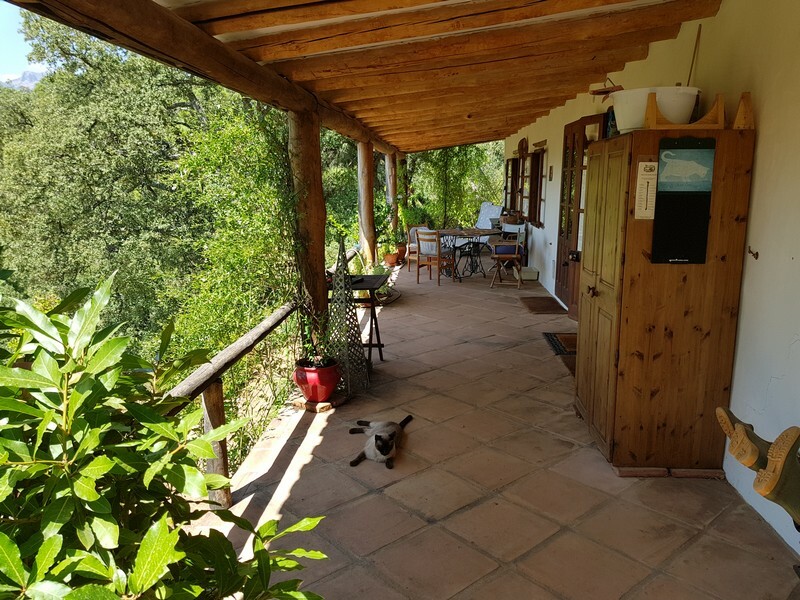 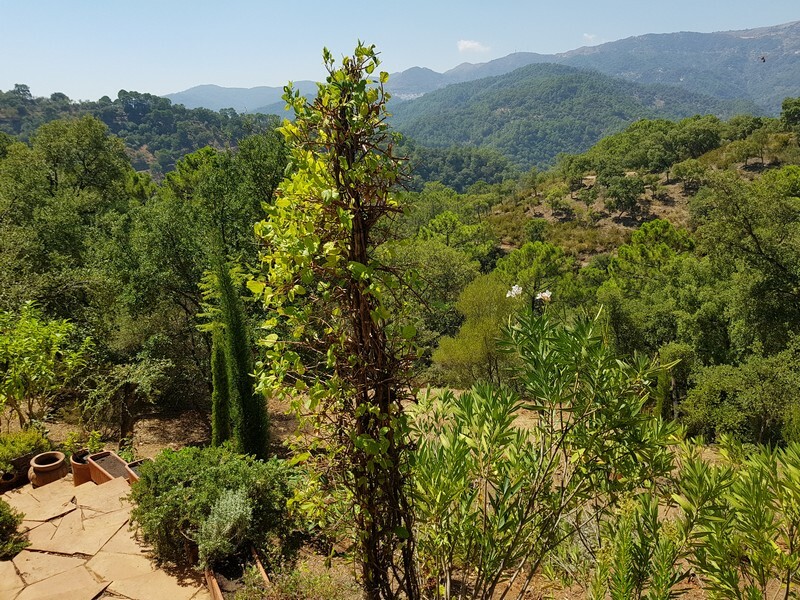 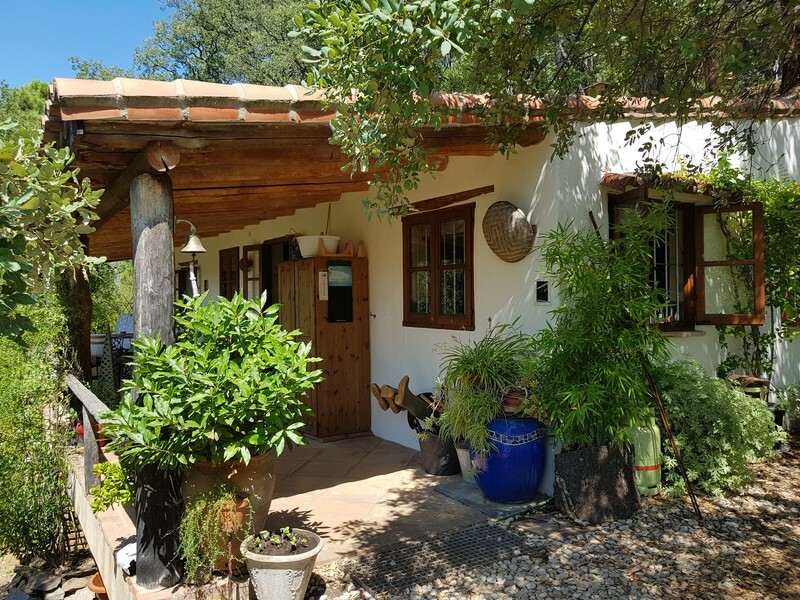 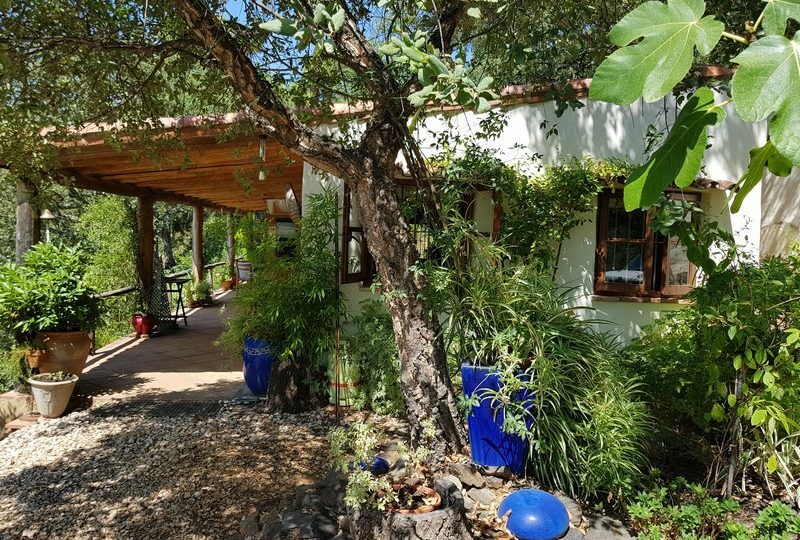 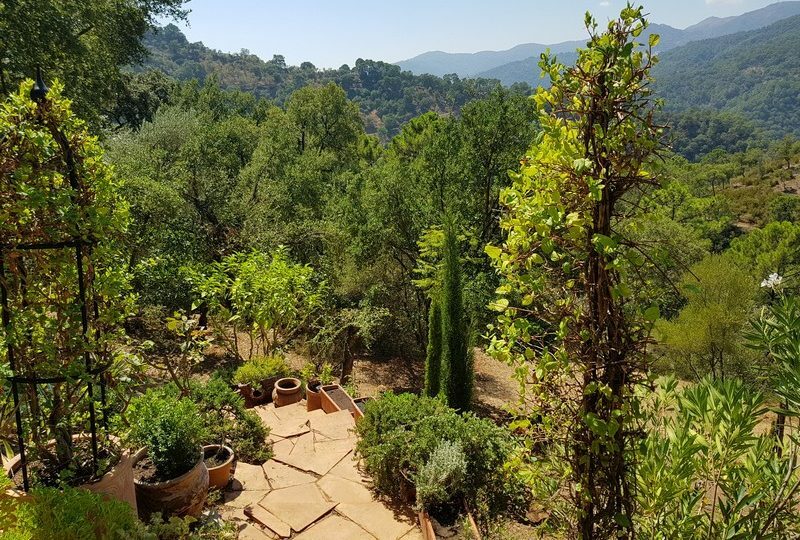 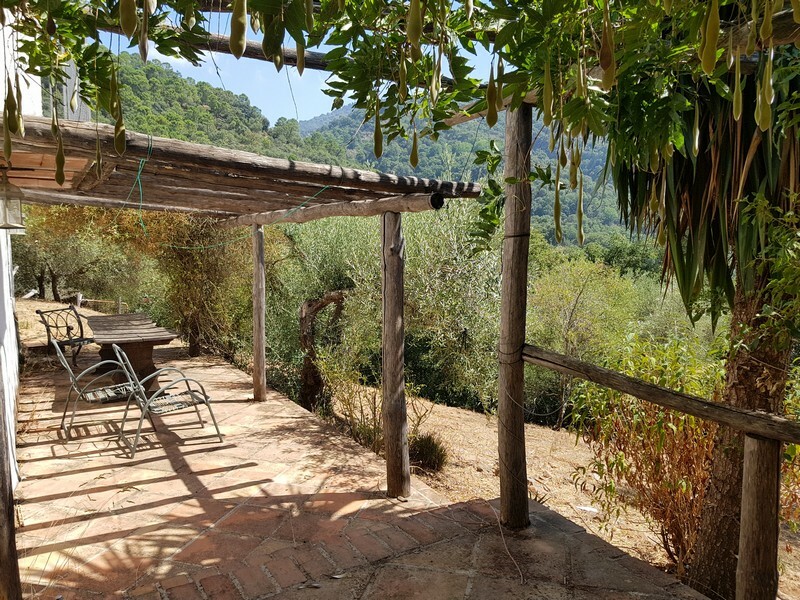 The property consists of 5 hectares of land steep in some areas but with many flat usable areas and ripe with pine, Cork oaks, oaks and many fruit trees. 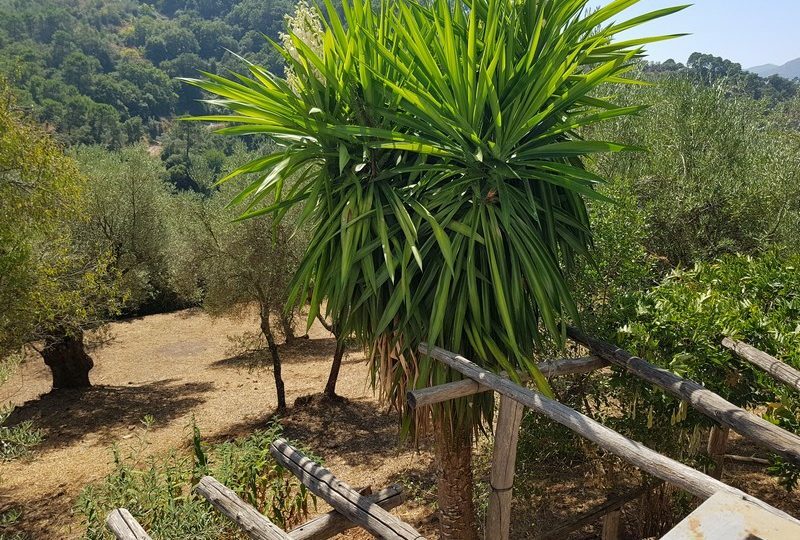 The land itself is beautiful, with many different areas plants and topography, it also has multiple buildings on it giving the feel of a real living farm for a large family. 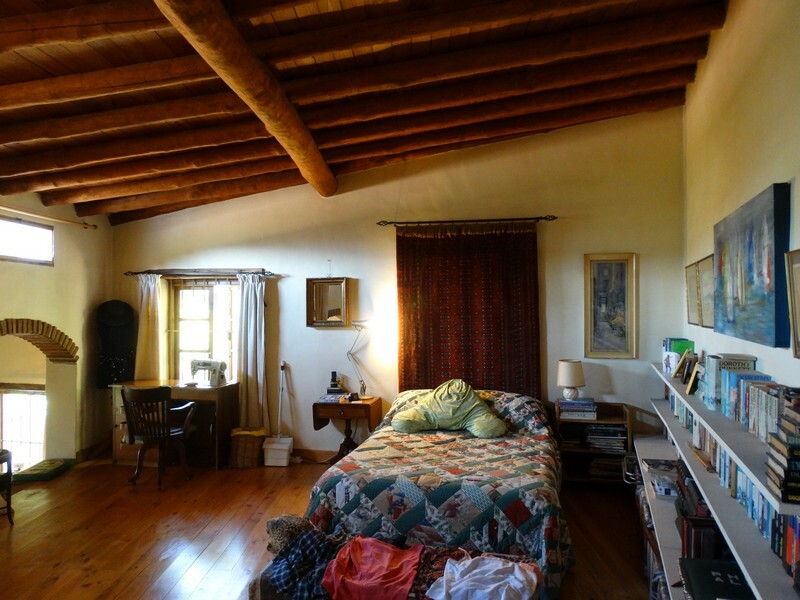 The property has an old ruin on it that intimates its 100’s of years of use and history. 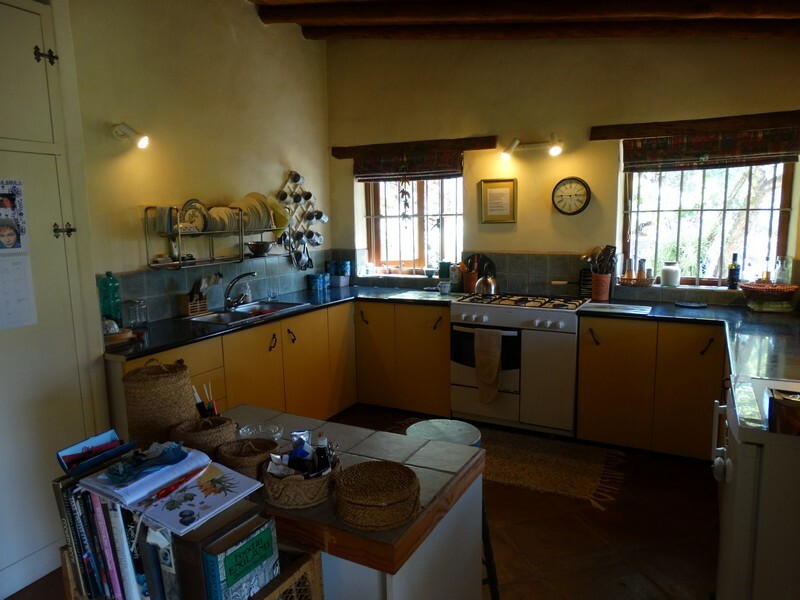 The Main house is the first house you arrive at as you drive into the land. 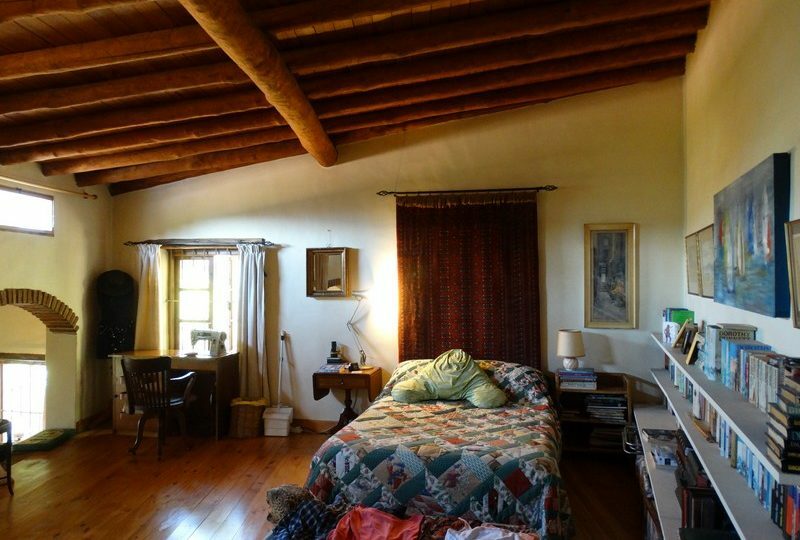 On your right and facing west is a one story building with chestnut beams and wooden ceilings throughout. 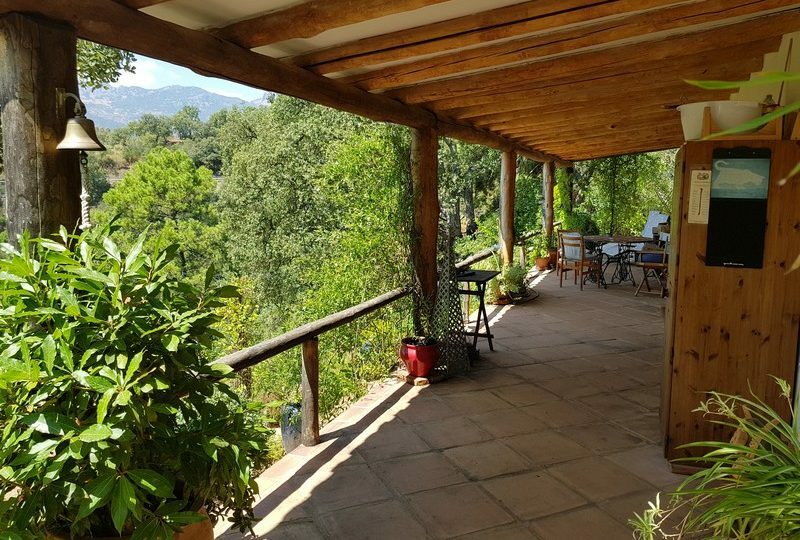 You enter the house via its very long porch with outstanding views of the Genal valley. 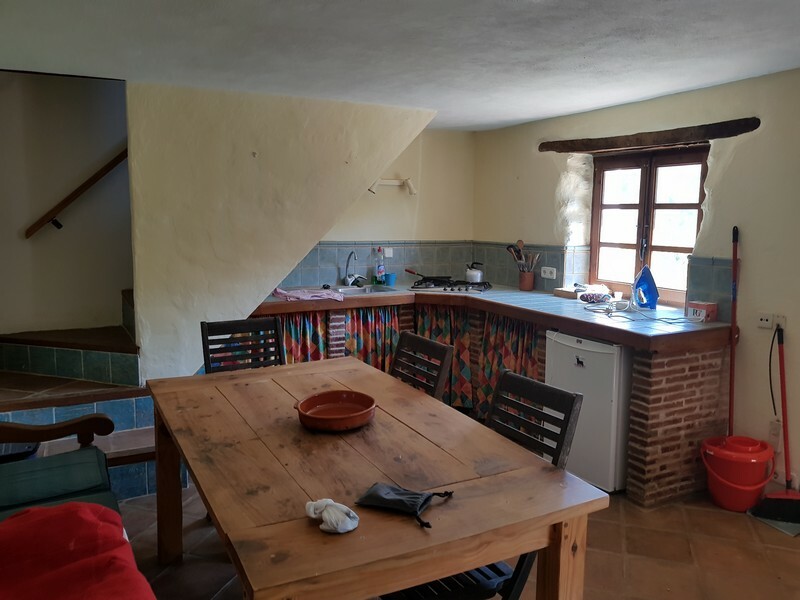 as you enter the house there is a very large living space that has three areas in it, the living room with woodburing stove, in the center the dinning area, and the the right large fitted kitchen. 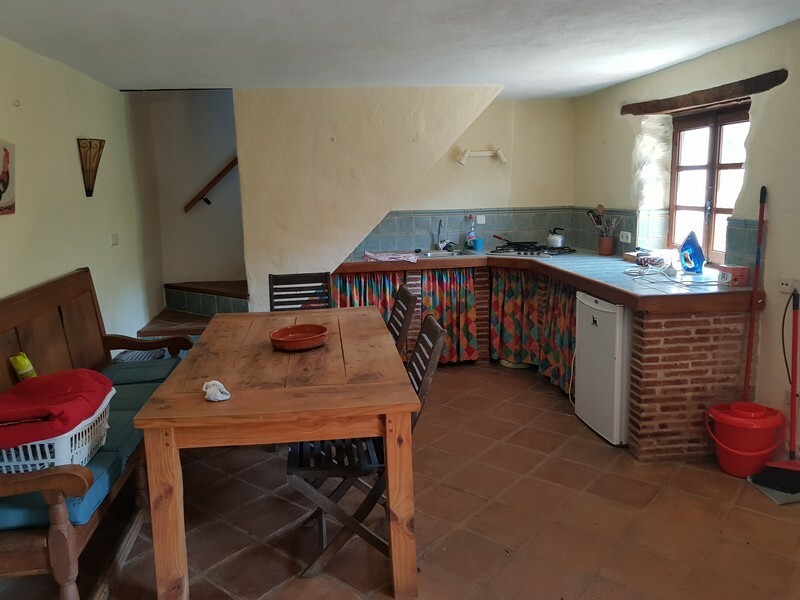 From this area you access a staircase that goes up half a floor to the large bedroom with windows through to the living area and a private bathroom on your right with a large walk in shower. 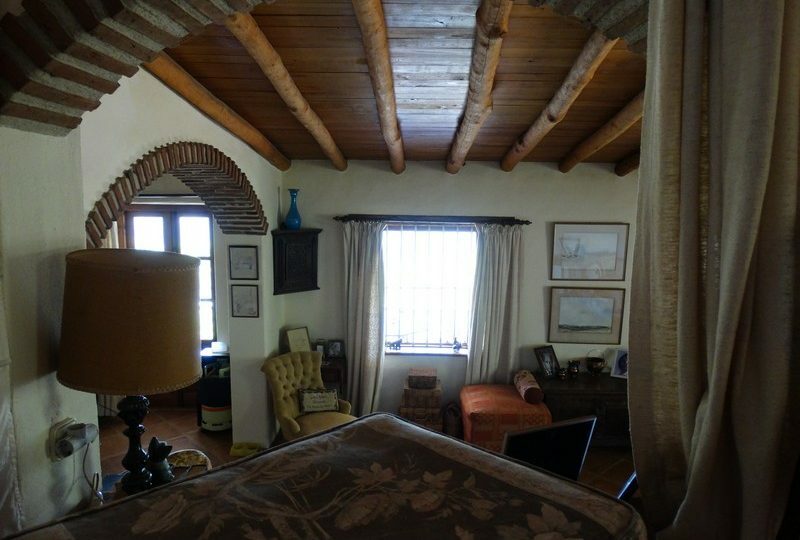 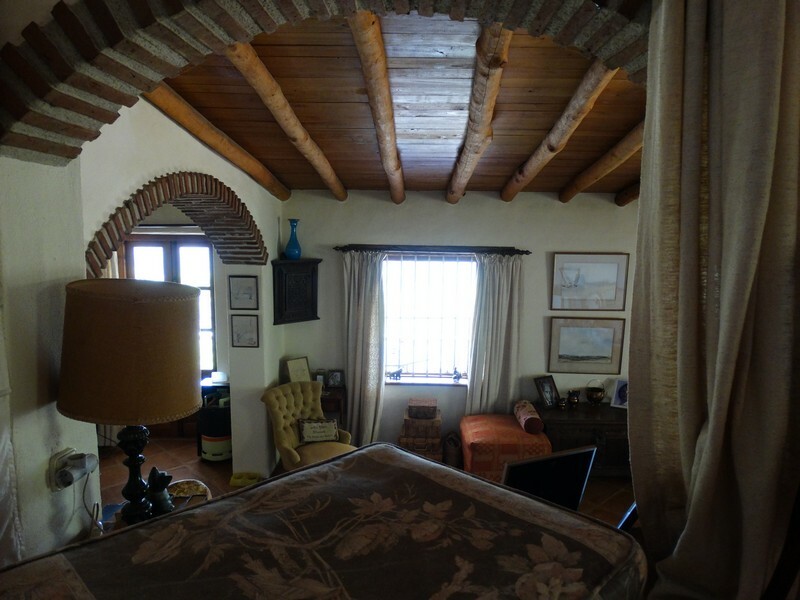 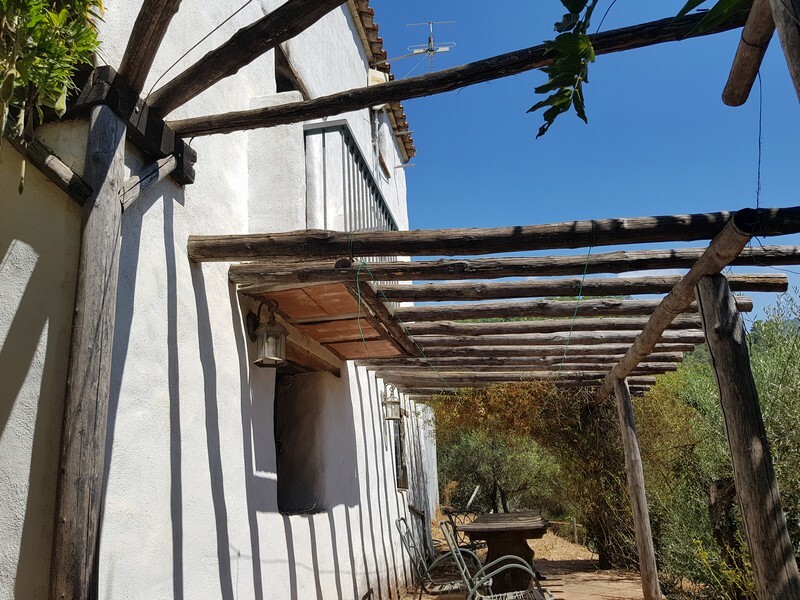 The house is full of authentic Andalusian character and has a fantastic position overlooking the Genal valley to the west. 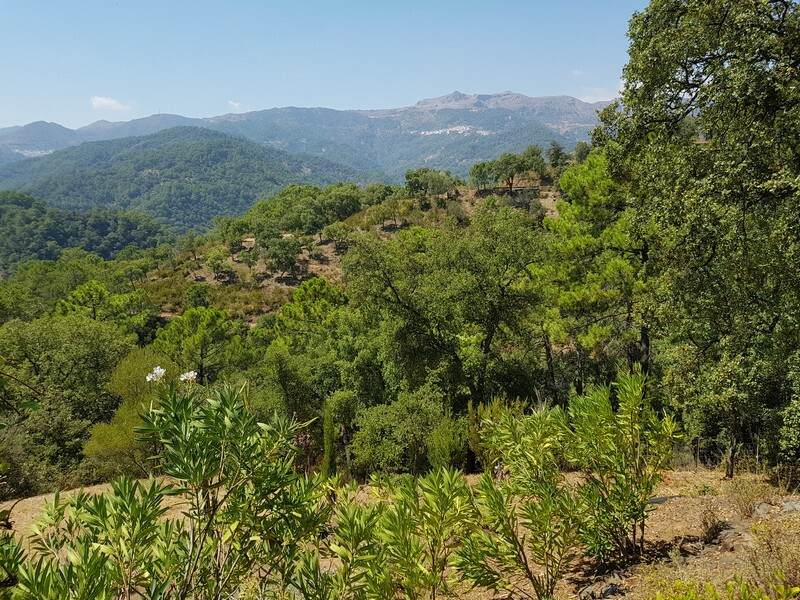 Carrying on down the track through an area forested by pines and oak trees you come to the bottom part of the land a lot flatter and terraced into a fruit orchard. 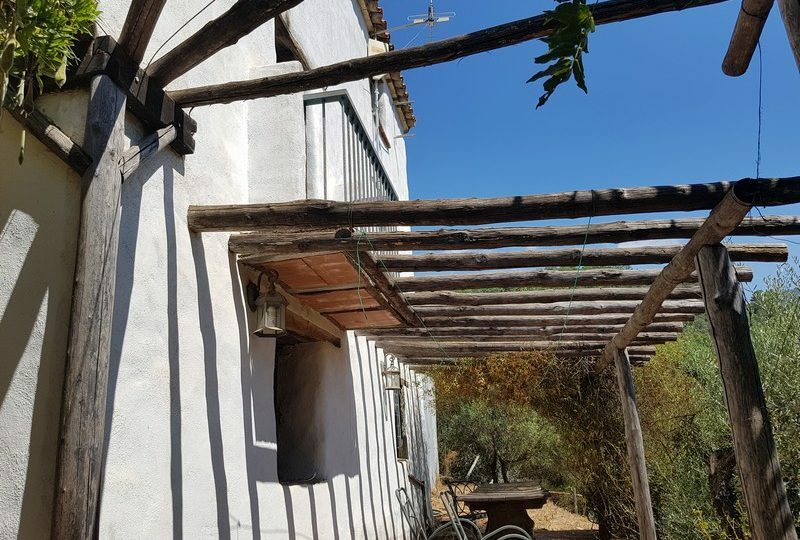 there is an old ruin on the left of the track and another house on the right that has all the typical charm of a small Andalusian form house. 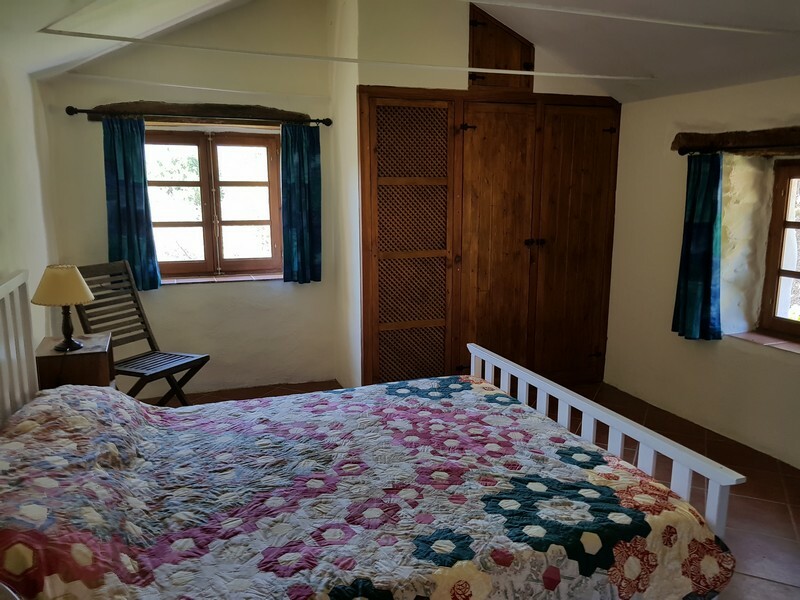 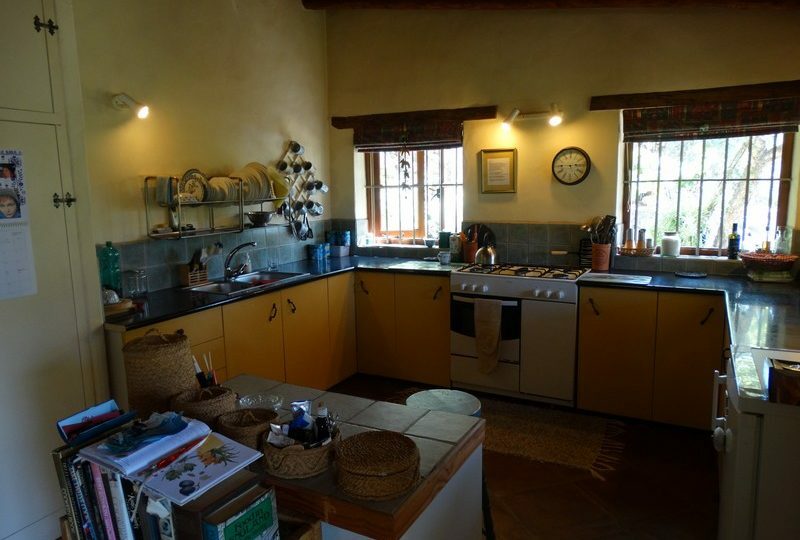 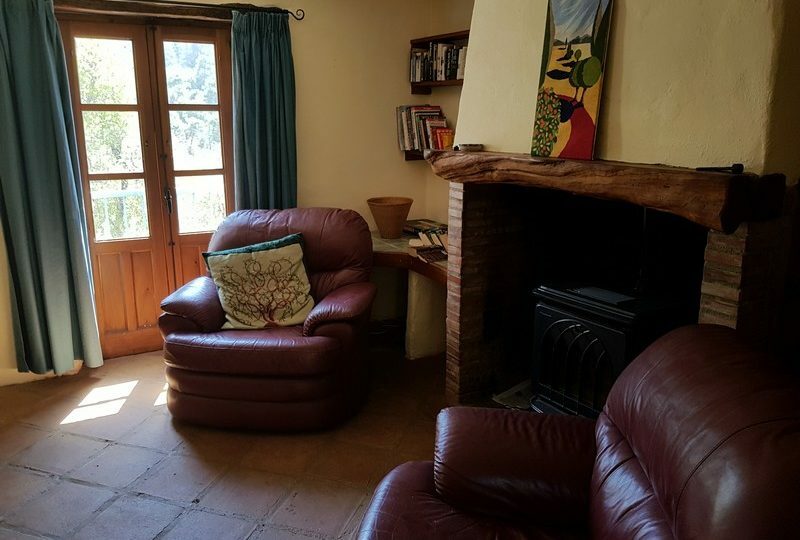 This property has a large open plan living room with open plan kitchen and wood burning stove, and the floor above has a large bedroom with en suite bathroom. 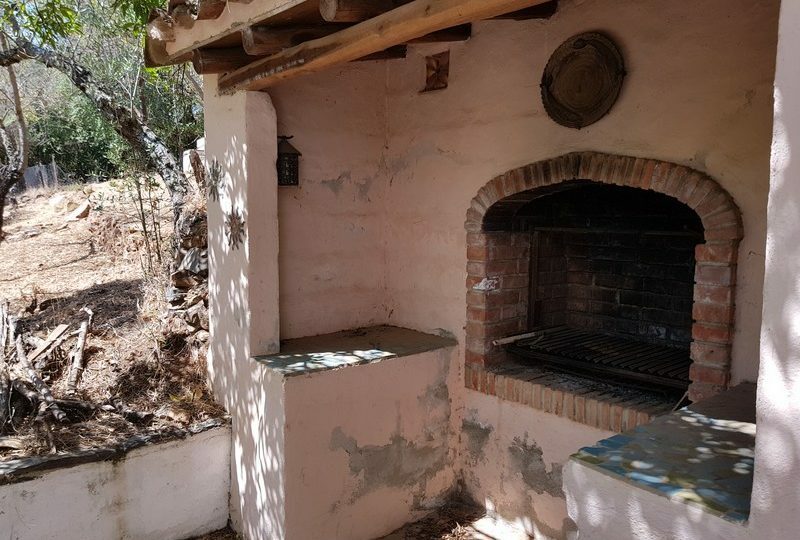 below the house is a basement area which could very easily be converted into a living room or bedroom and has a rustic style bbq on its porch. 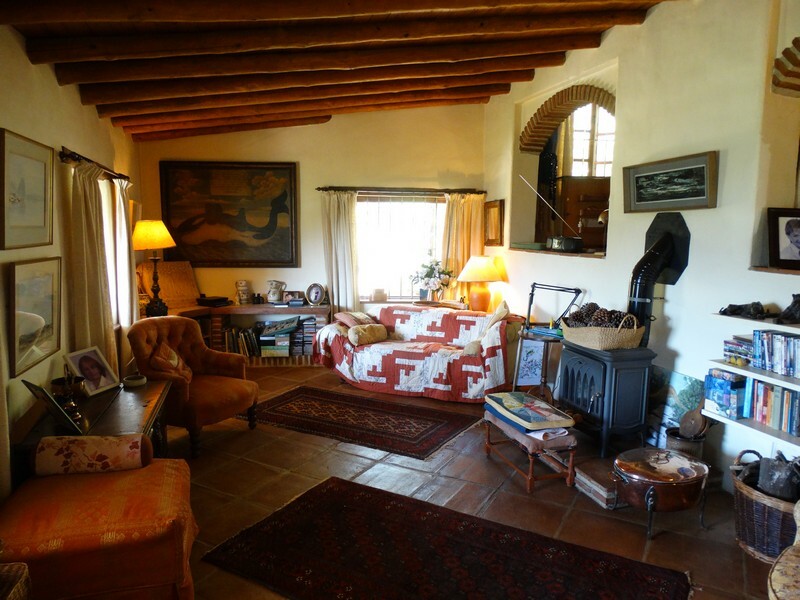 the house feels like it has been there for ever but is a relatively recent restoration. 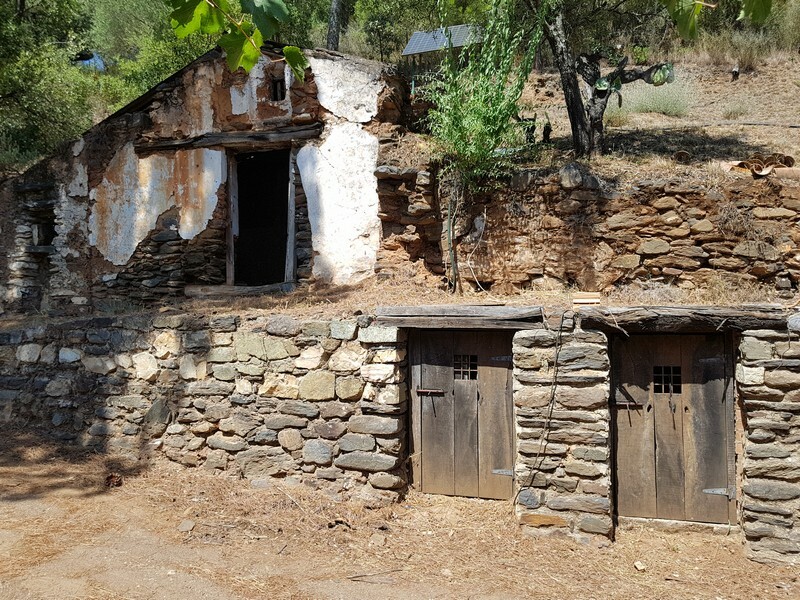 Near here is an old Shepard’s shelter that has been restored with the original river stones and lime mortar and looks just like it would have centuries ago. 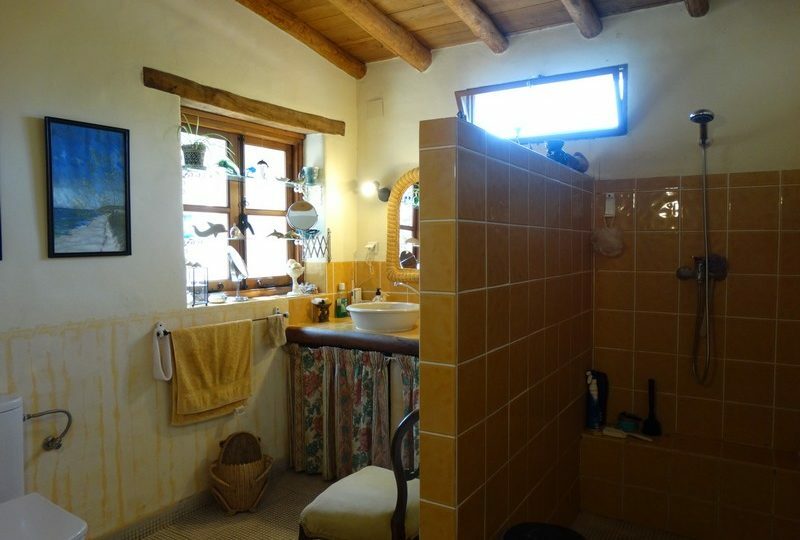 It has a bedroom area and a bathroom accessed by another door. 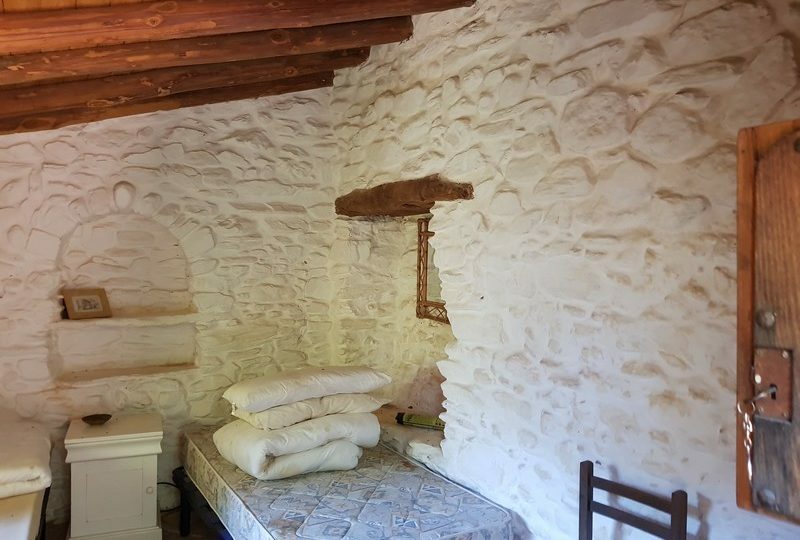 small but incredibly charming. 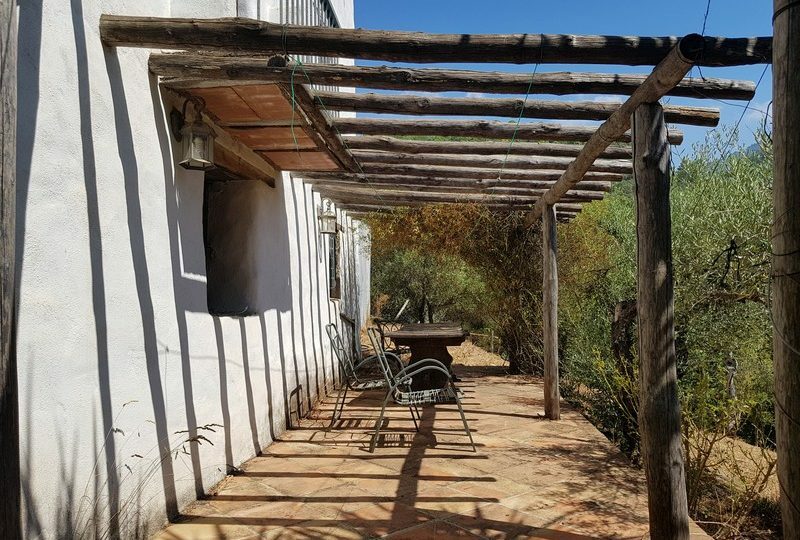 the property offers many possibilities for tourism projects and the land is really quite special with great views many levels and lots of character on the land itself. 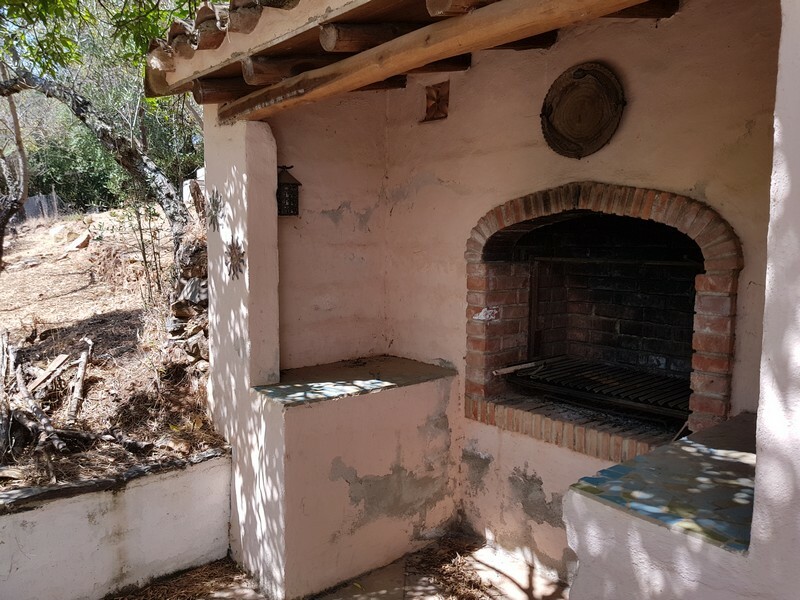 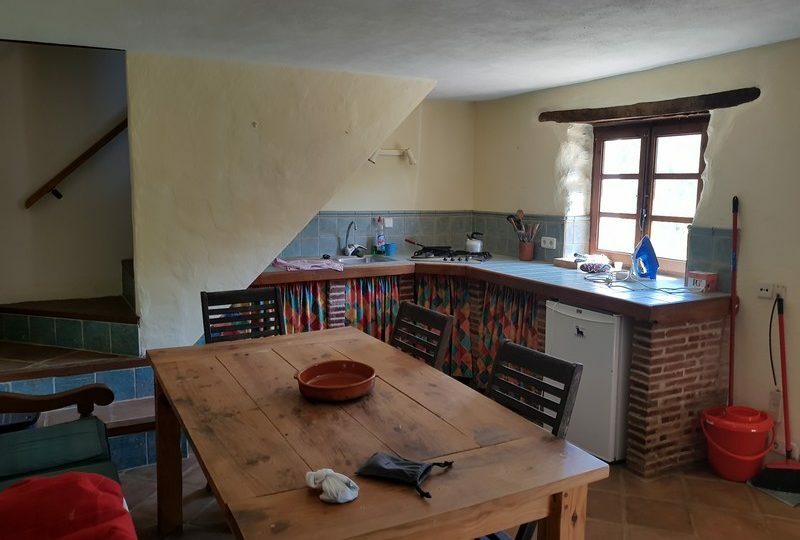 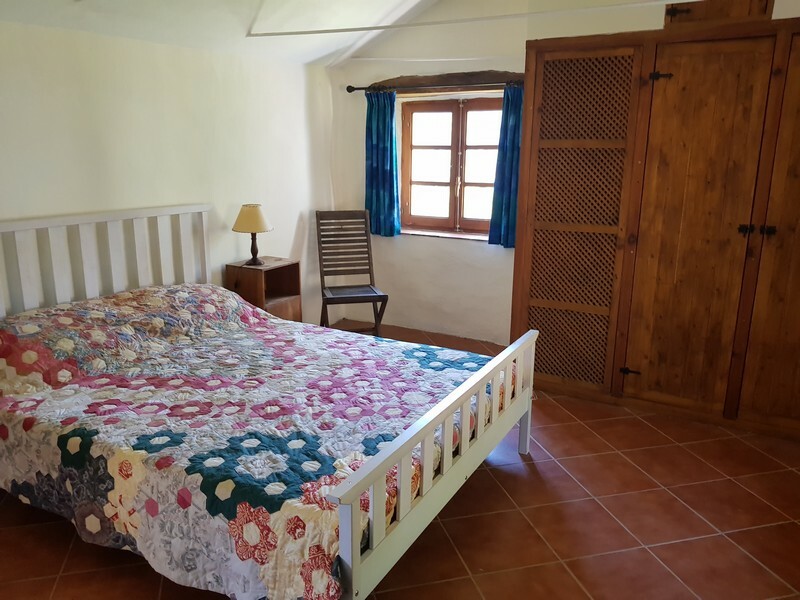 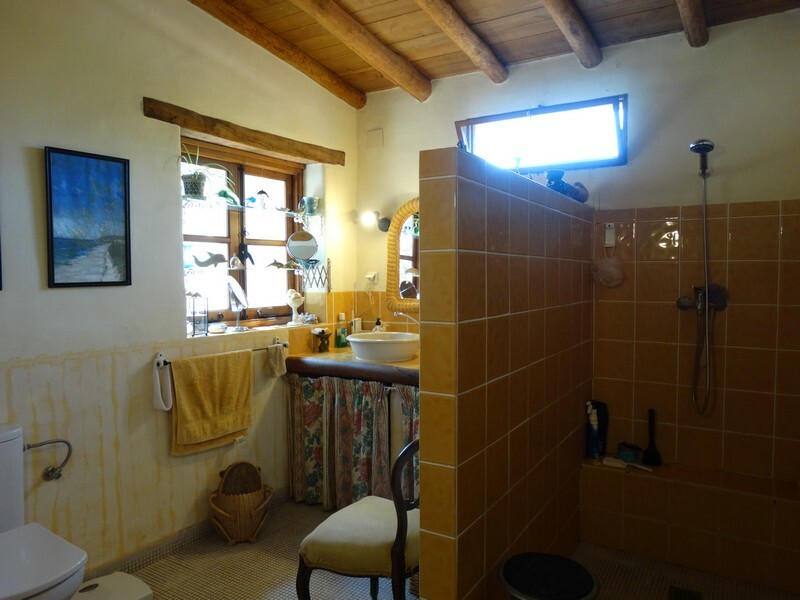 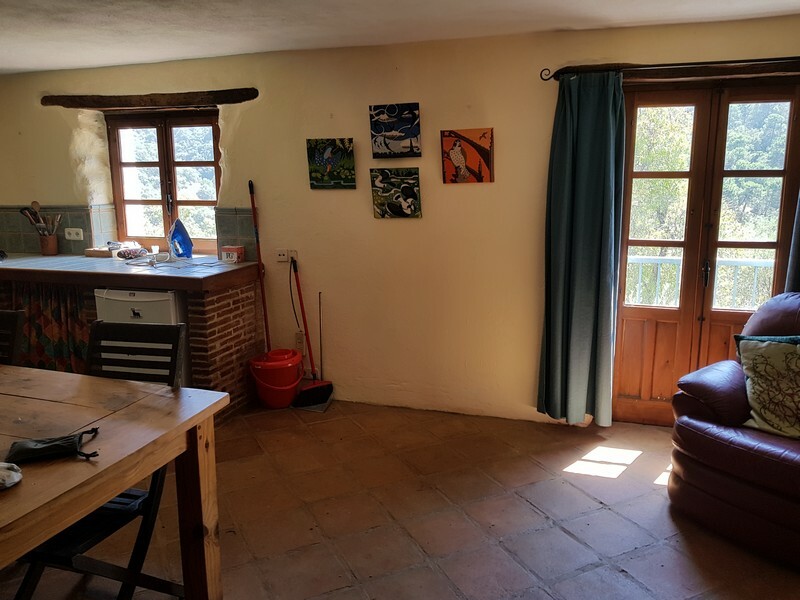 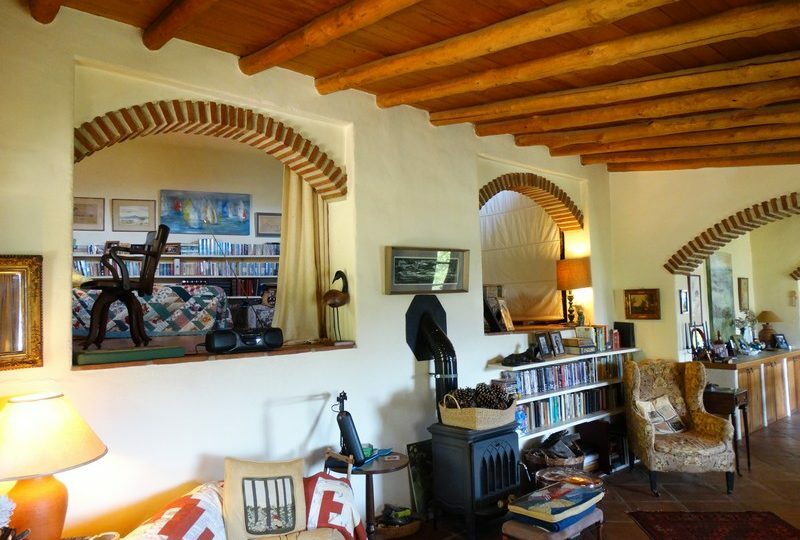 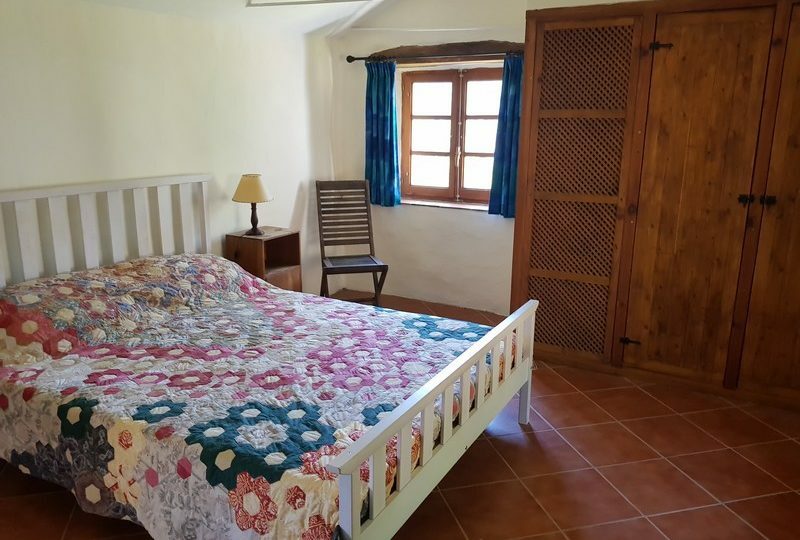 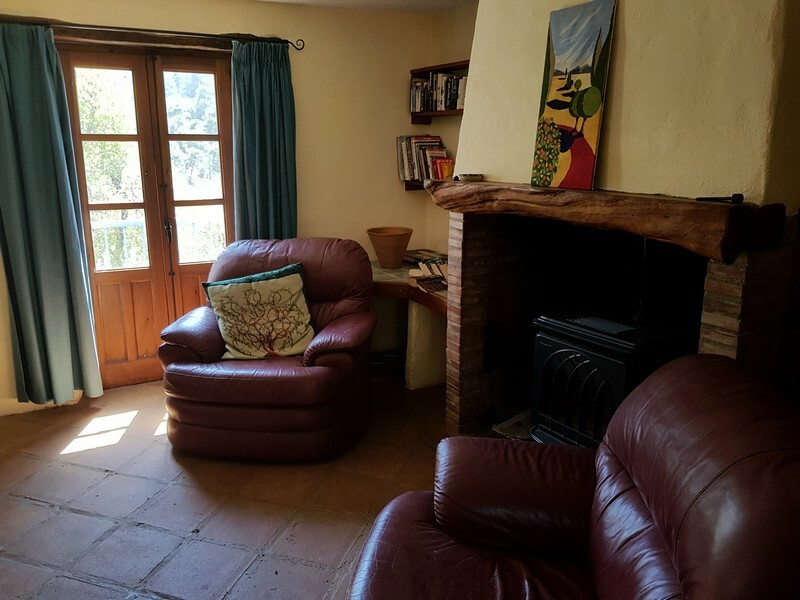 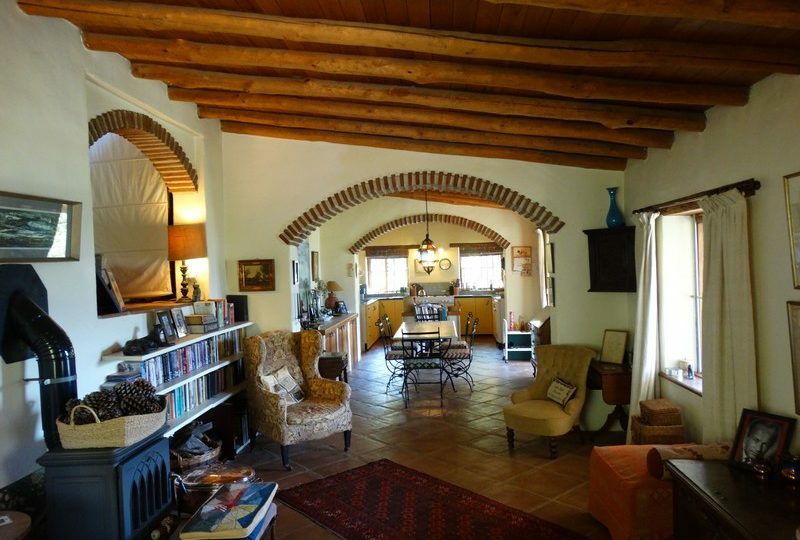 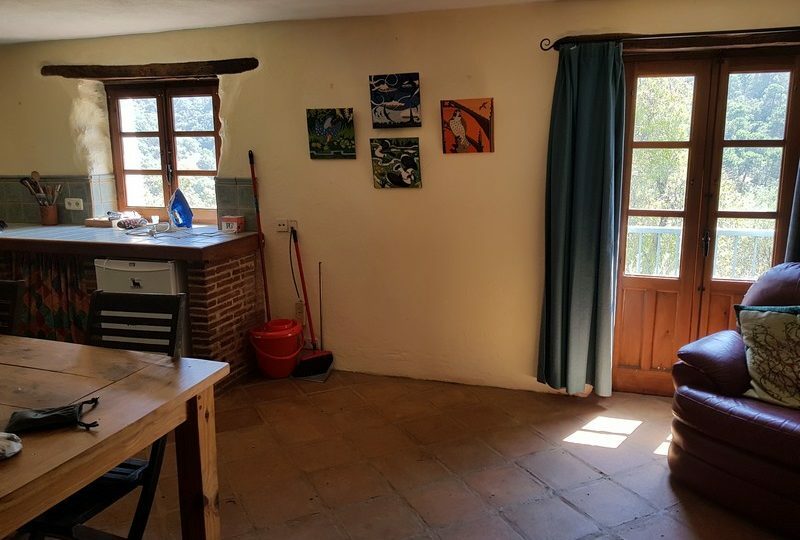 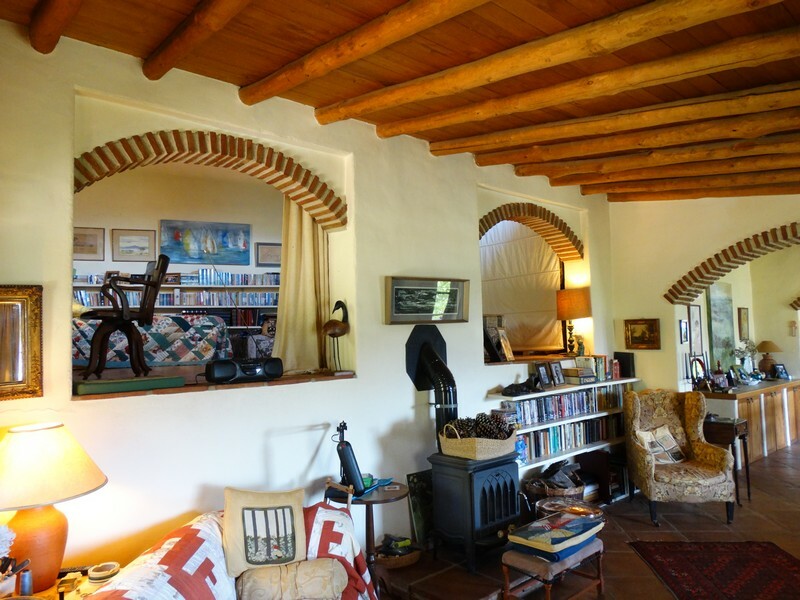 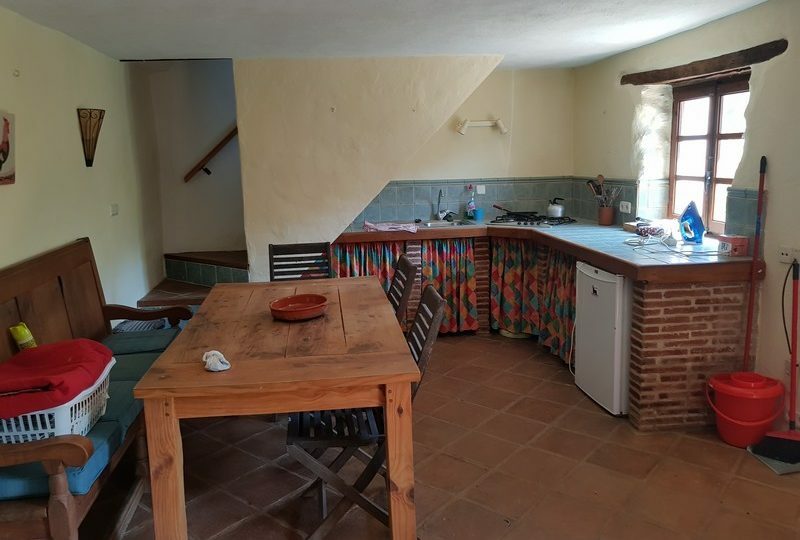 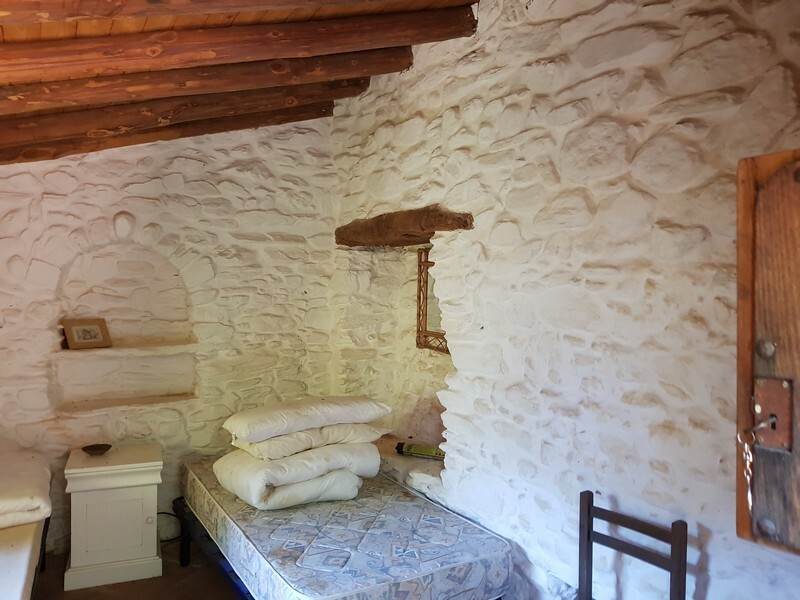 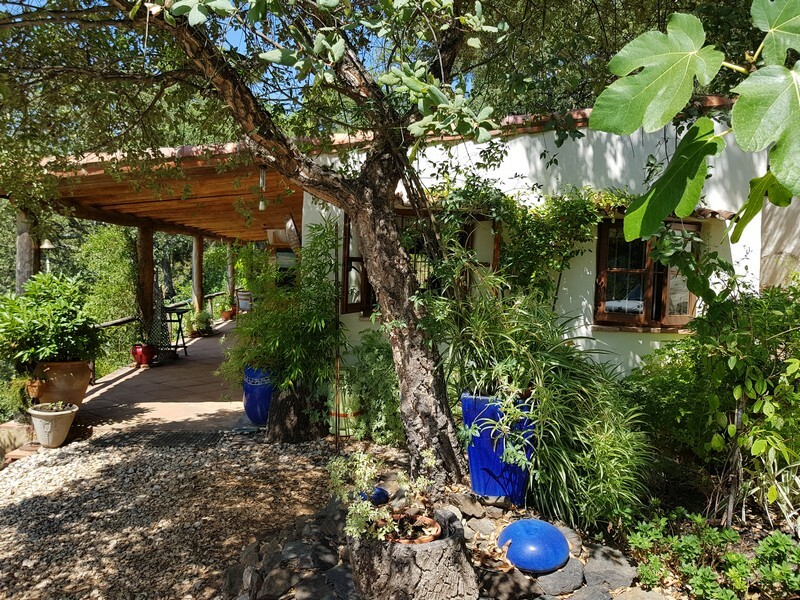 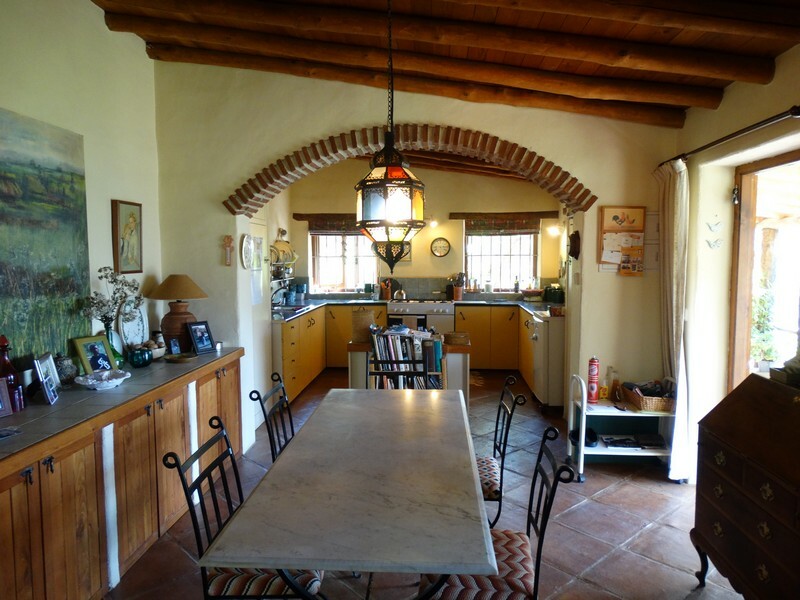 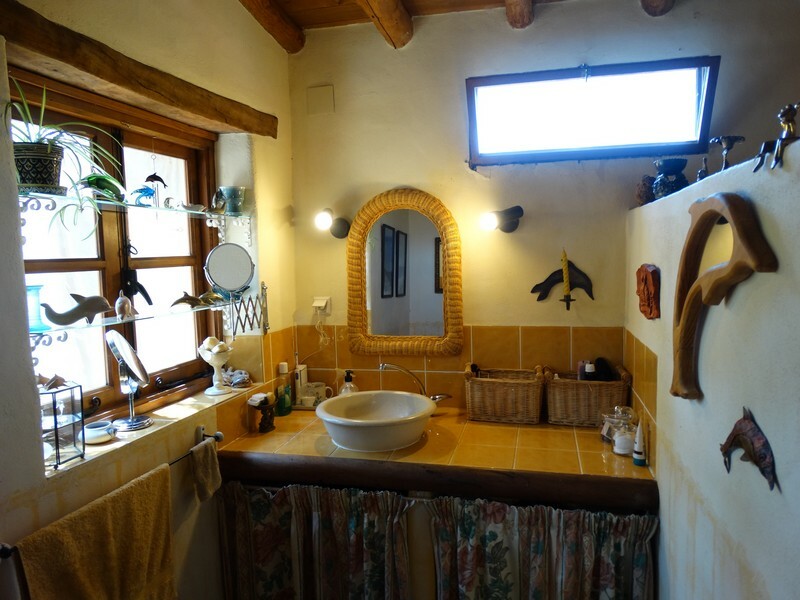 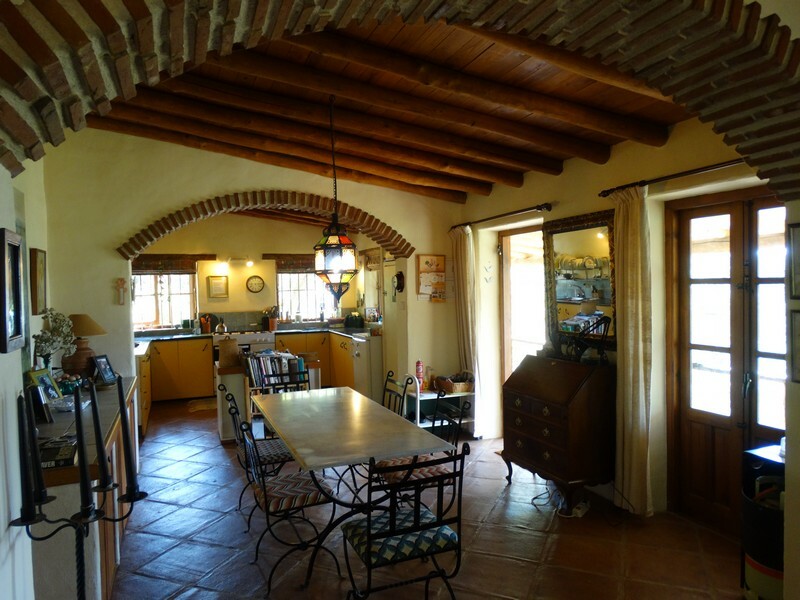 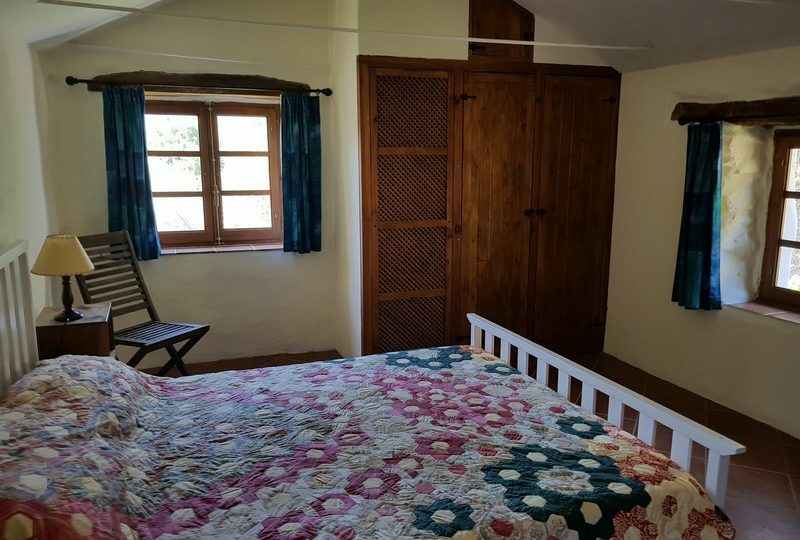 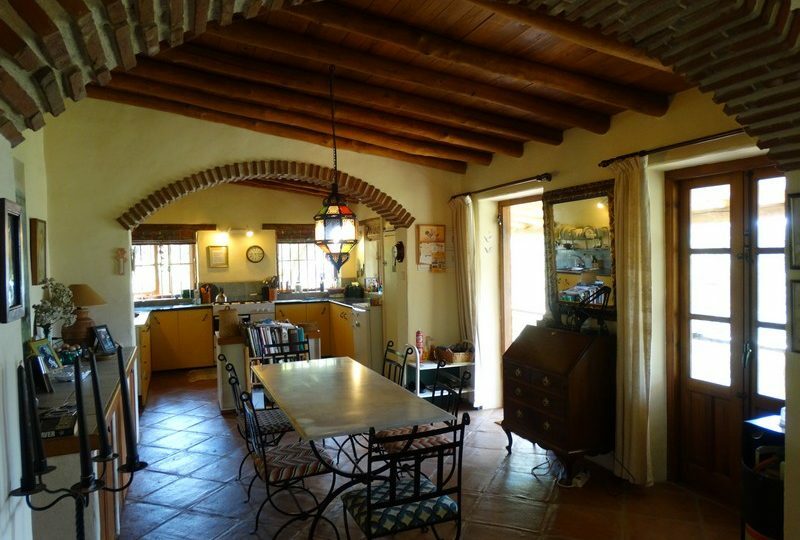 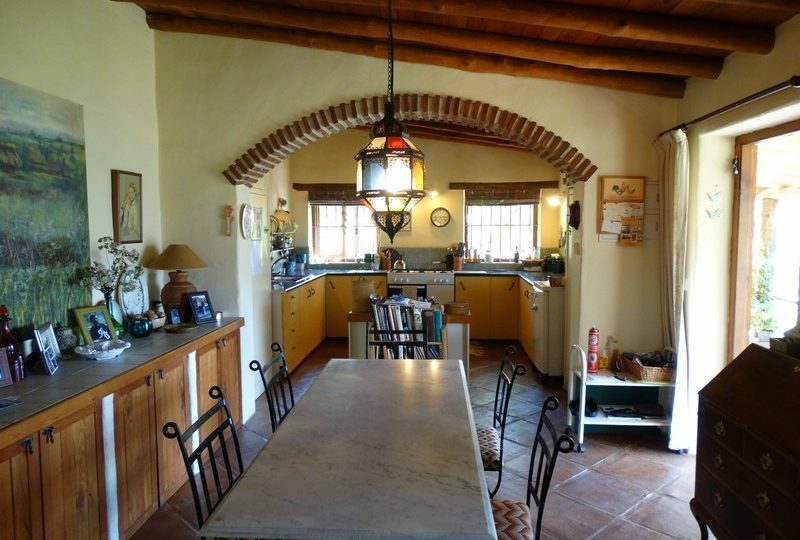 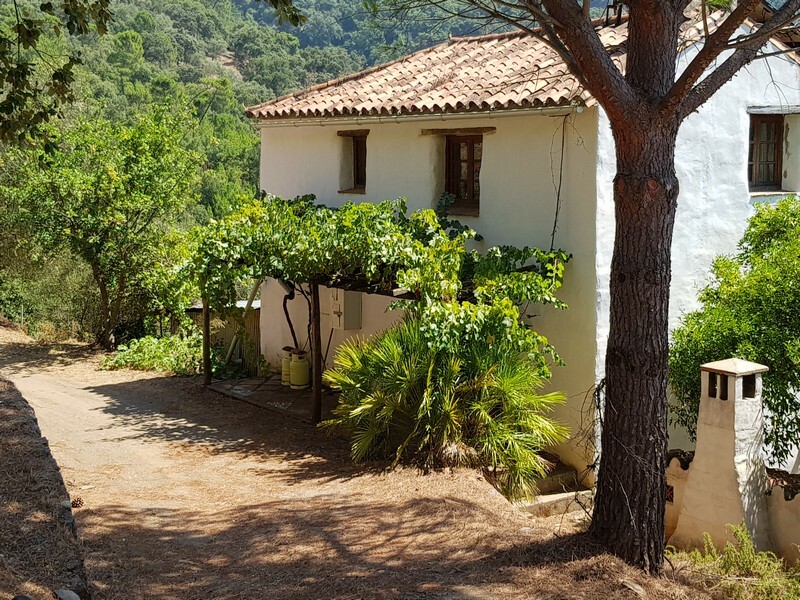 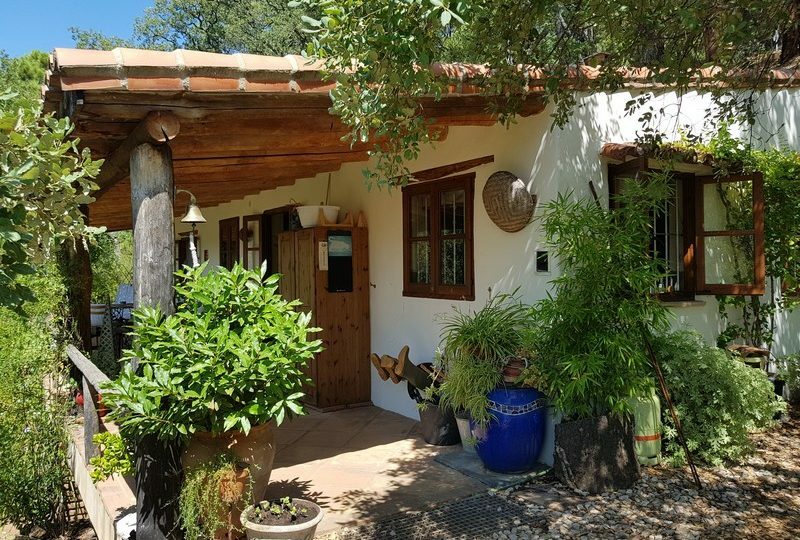 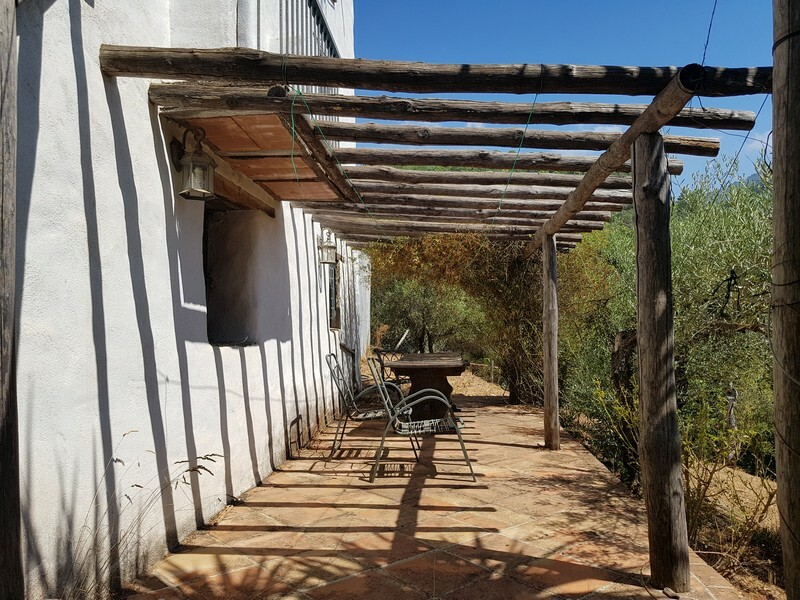 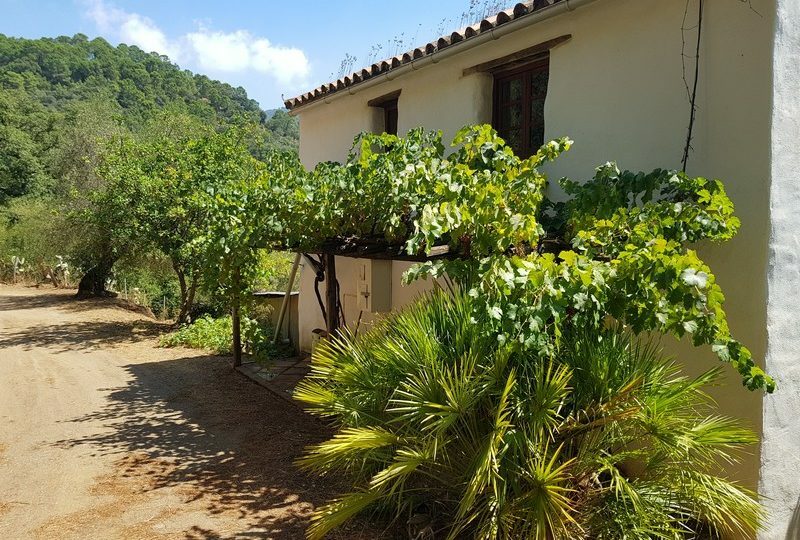 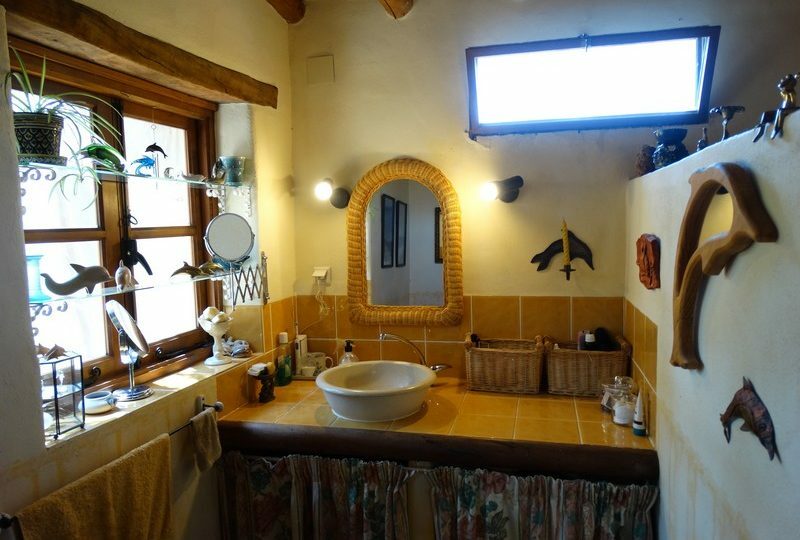 its a fantastic finca, the original spanish style that could easily accommodate a large family with separate living spaces or a rural tourism project.